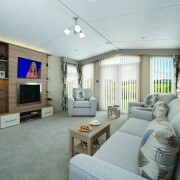 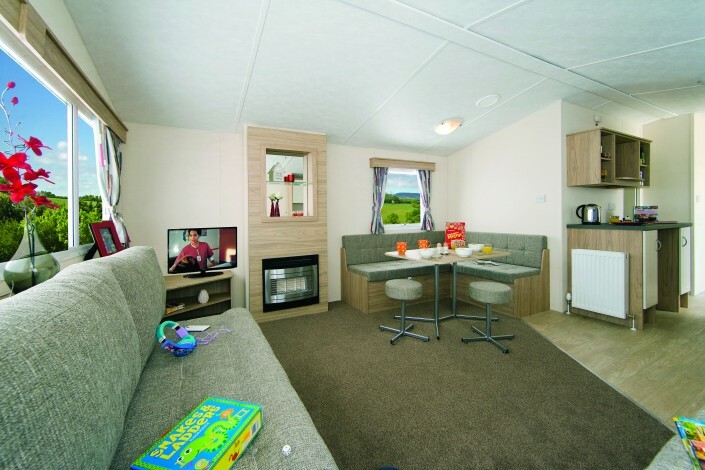 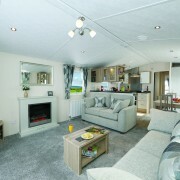 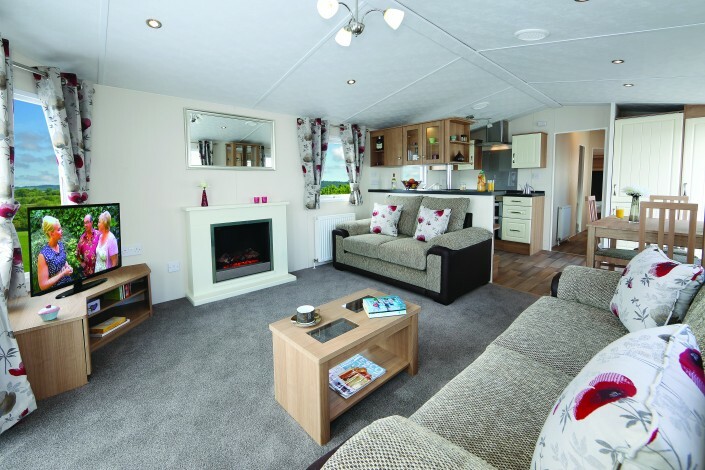 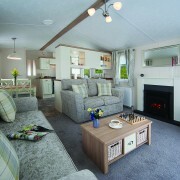 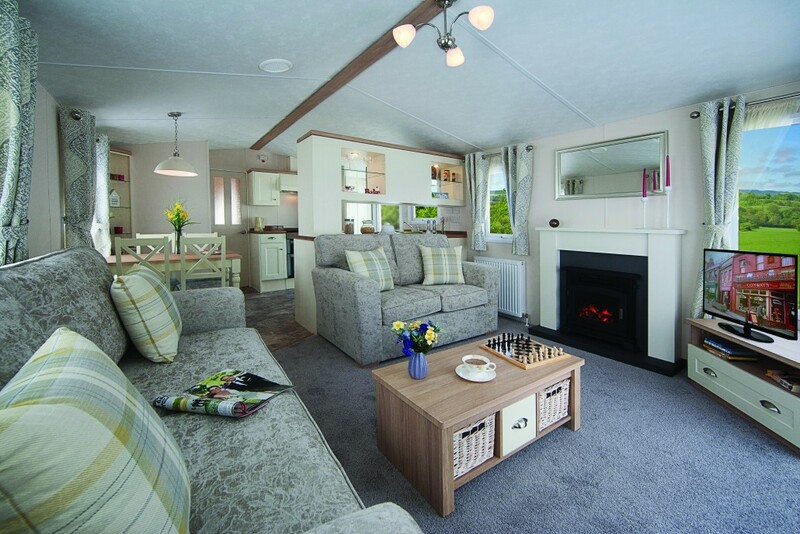 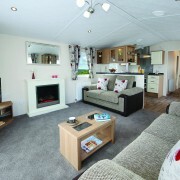 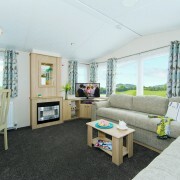 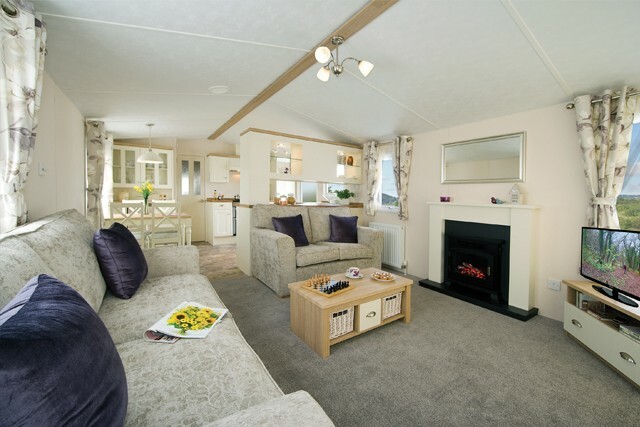 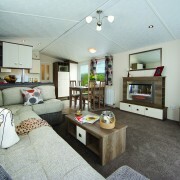 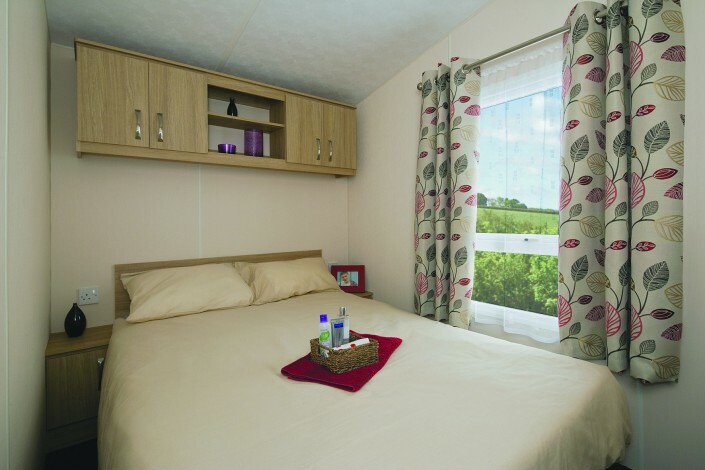 The Linden is perfect for families that like to get away often. 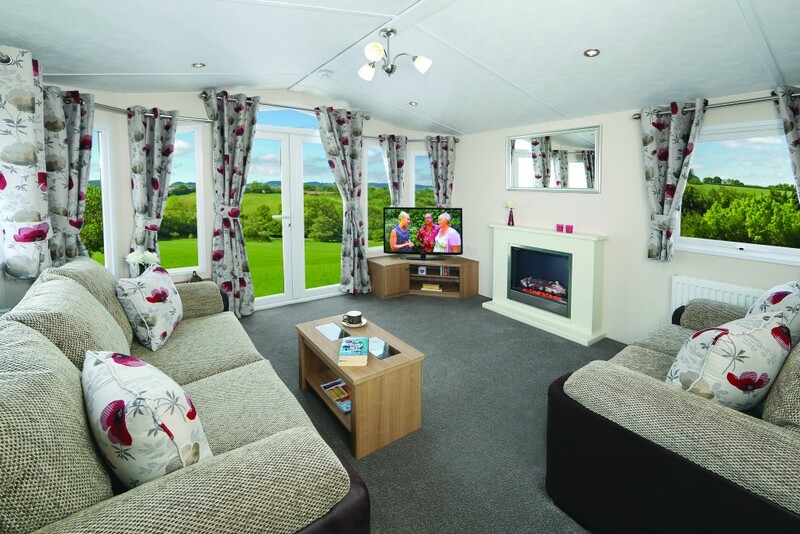 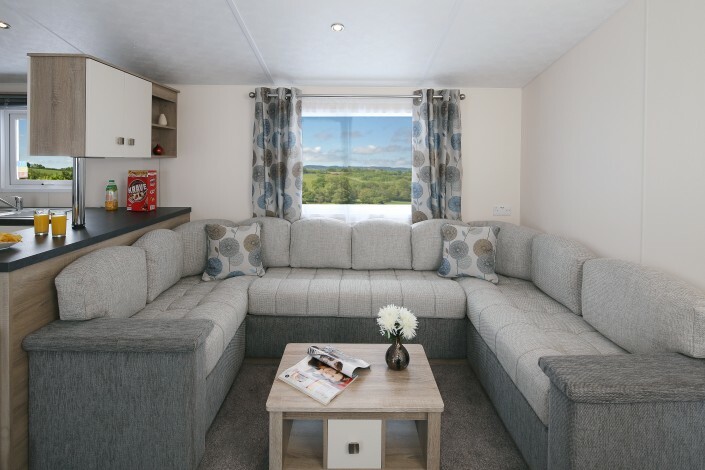 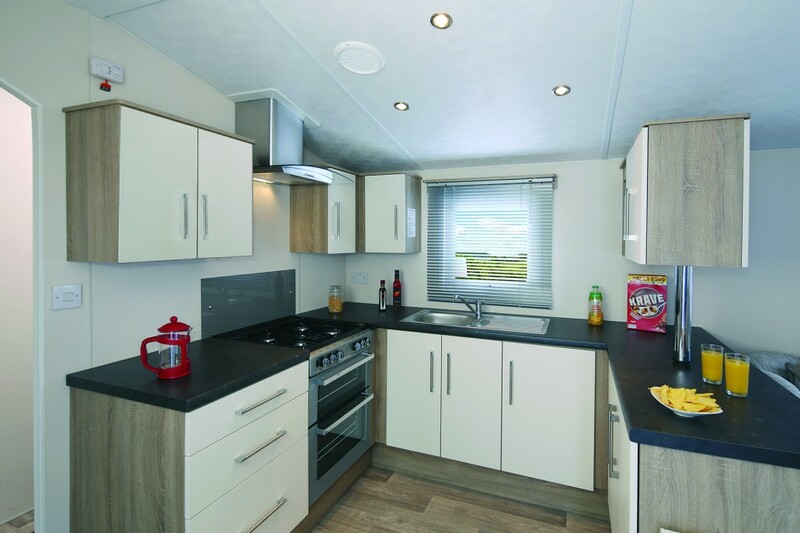 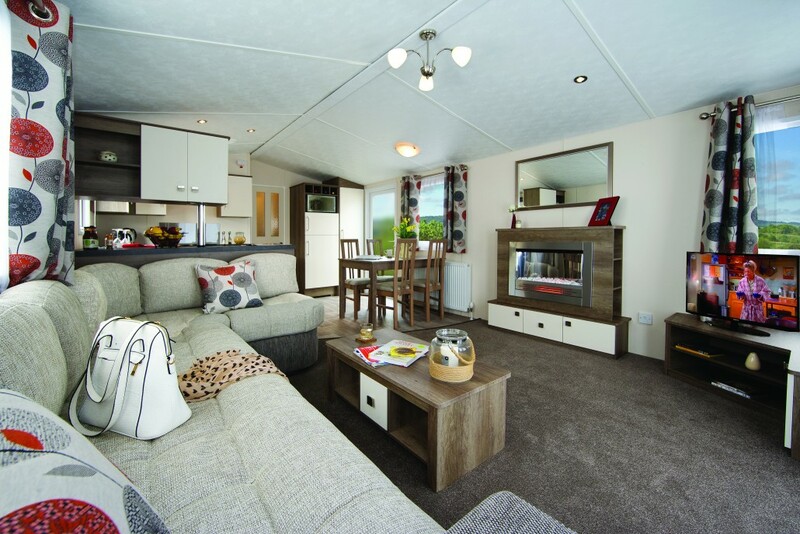 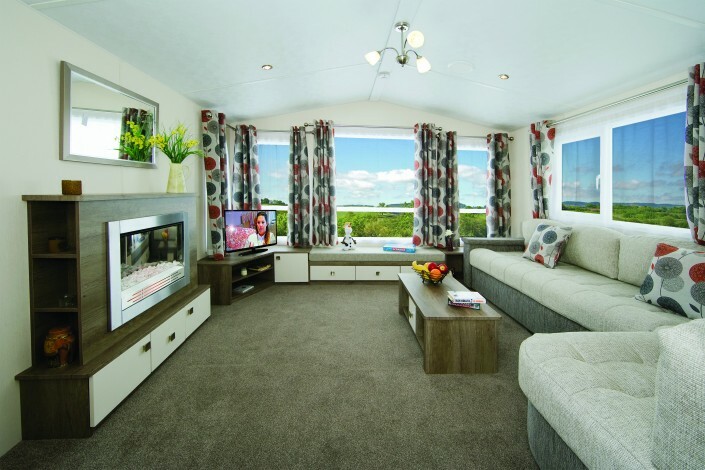 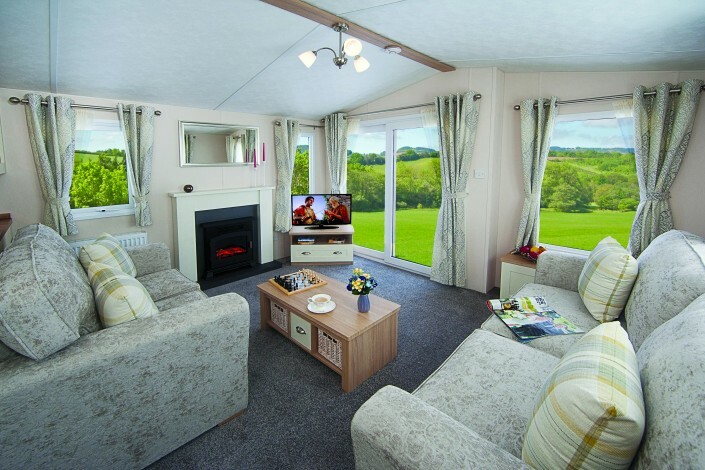 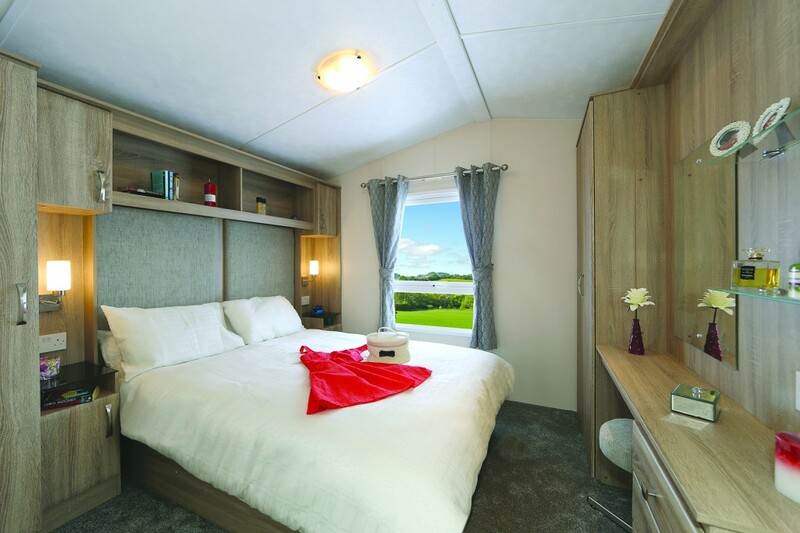 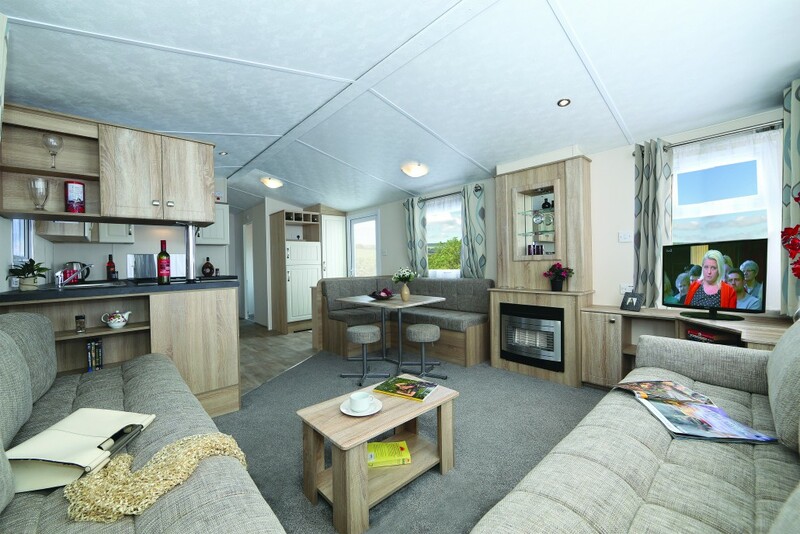 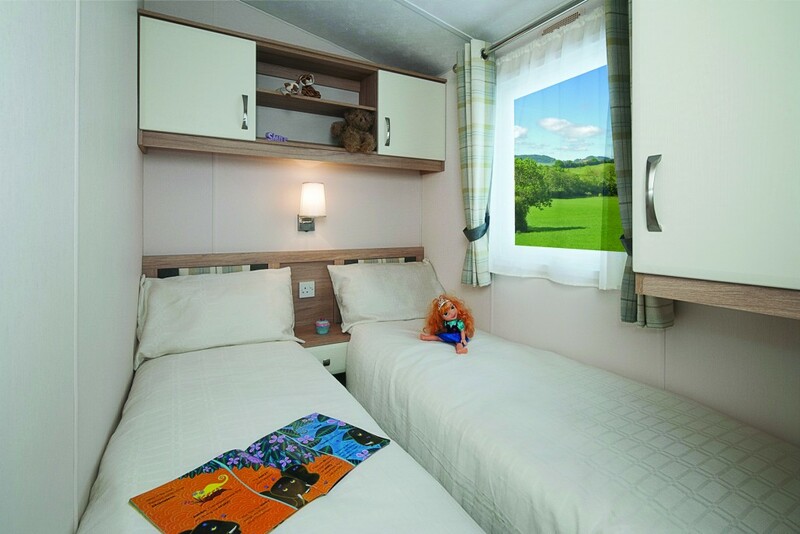 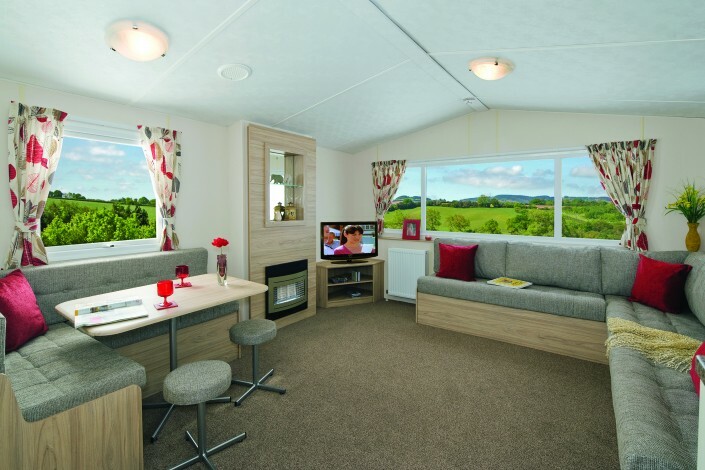 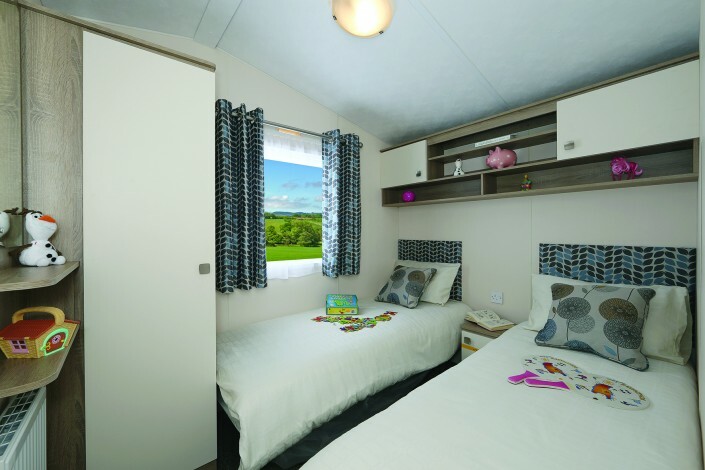 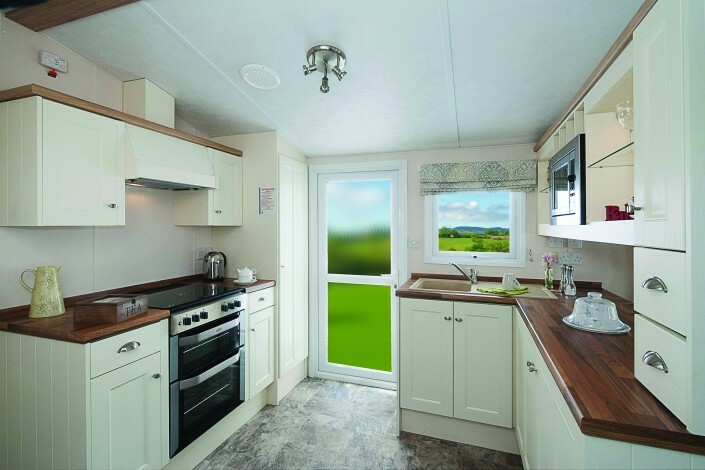 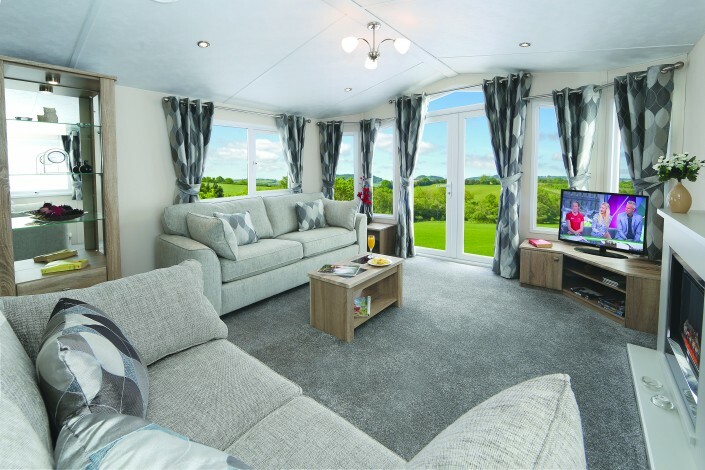 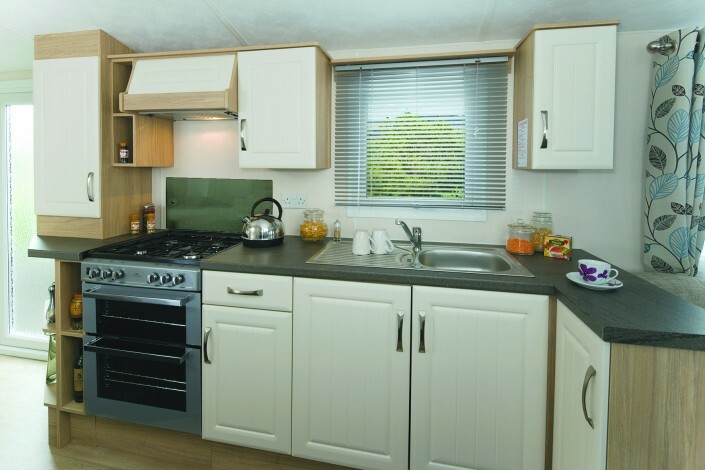 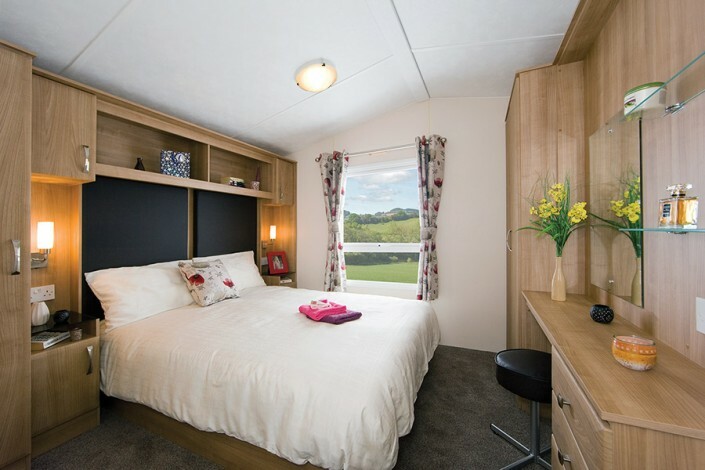 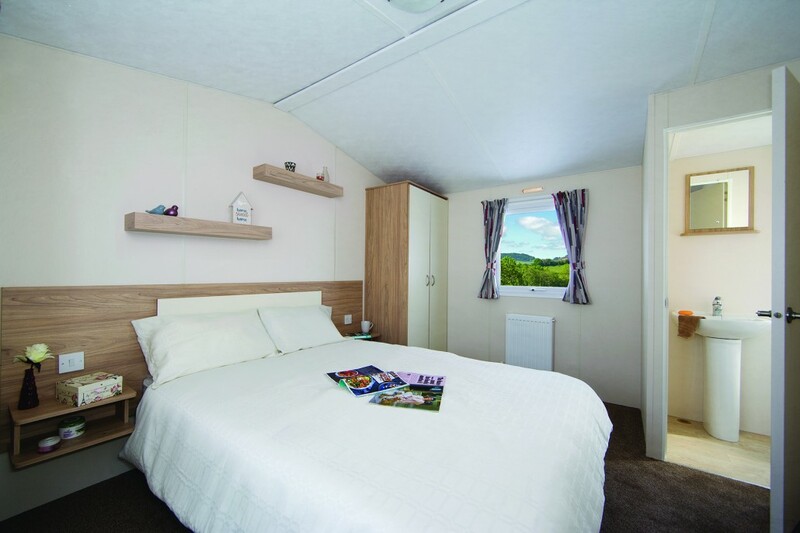 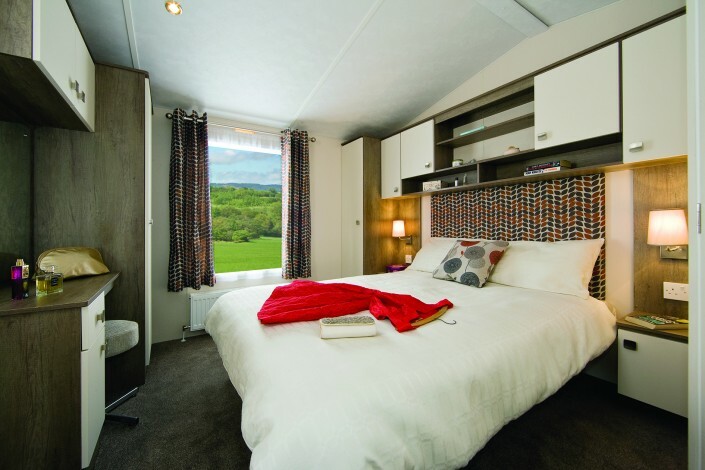 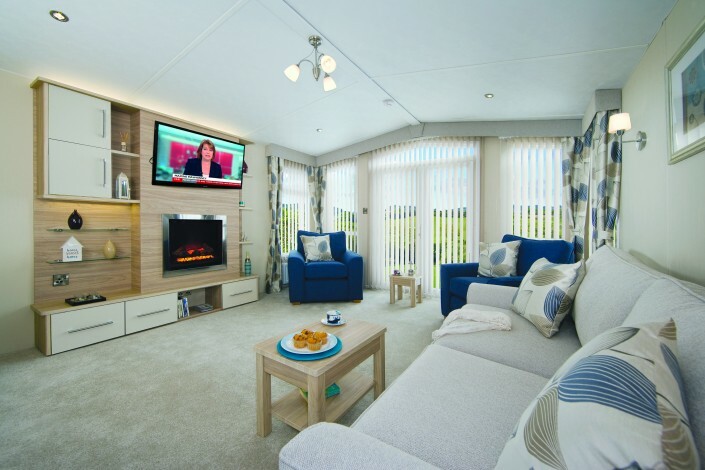 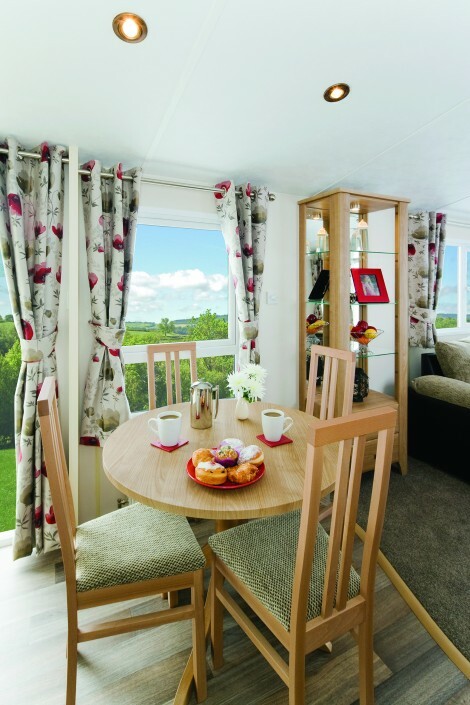 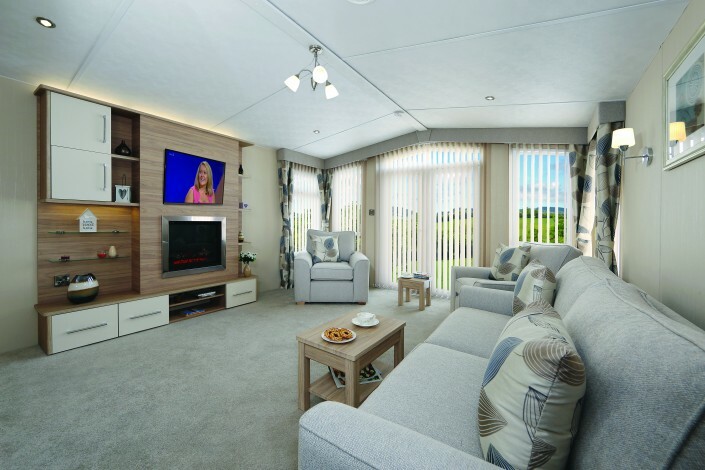 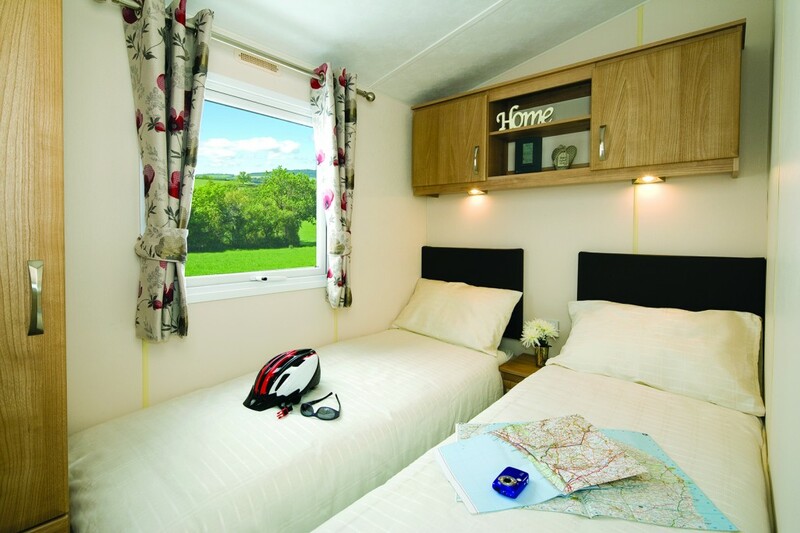 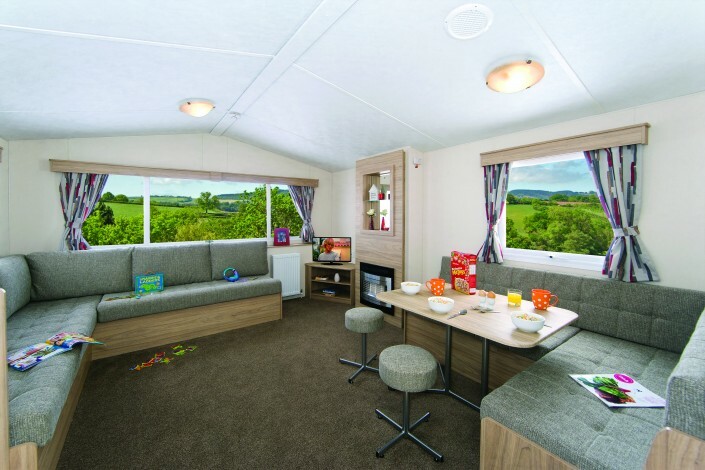 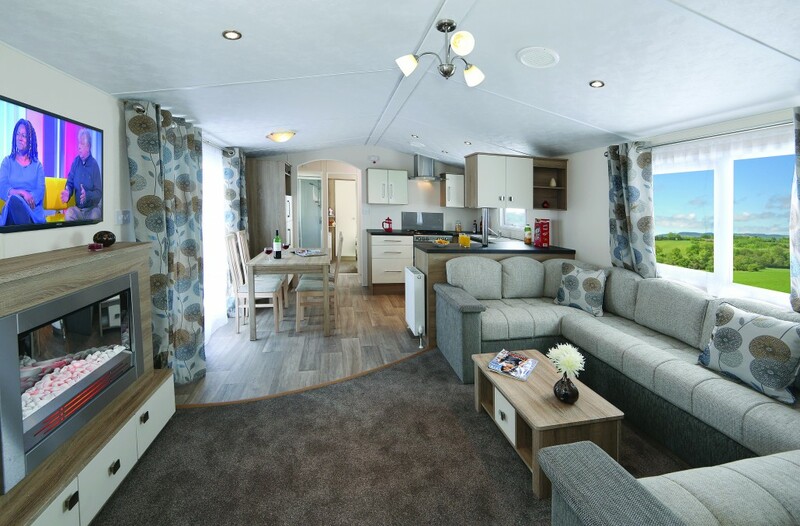 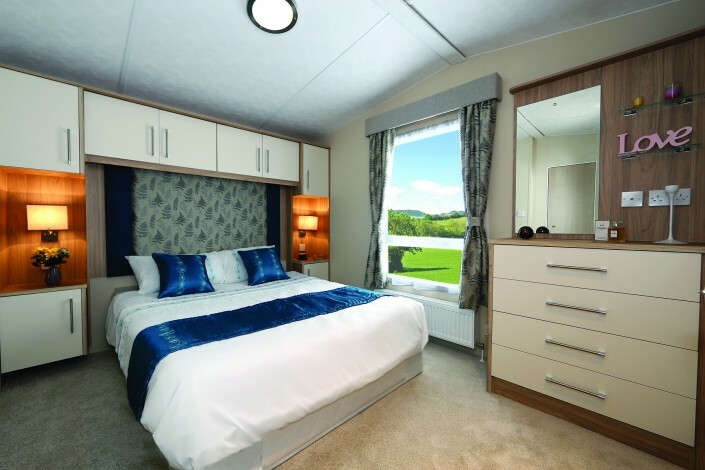 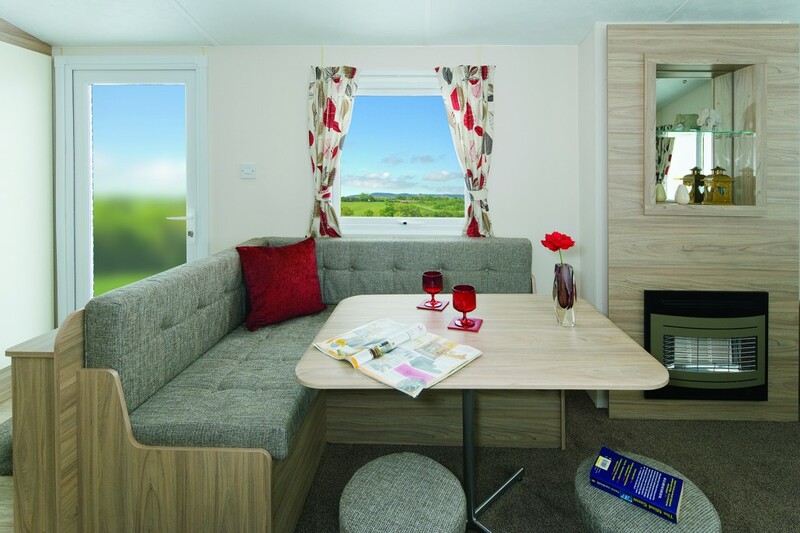 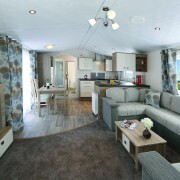 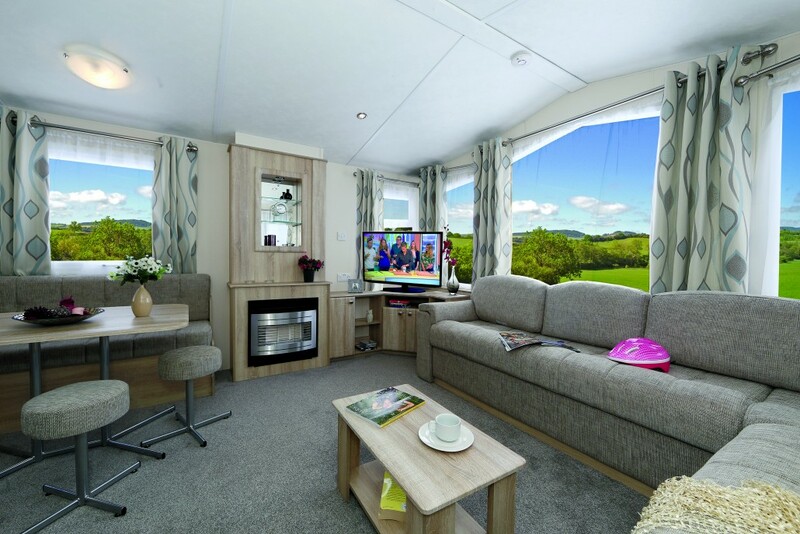 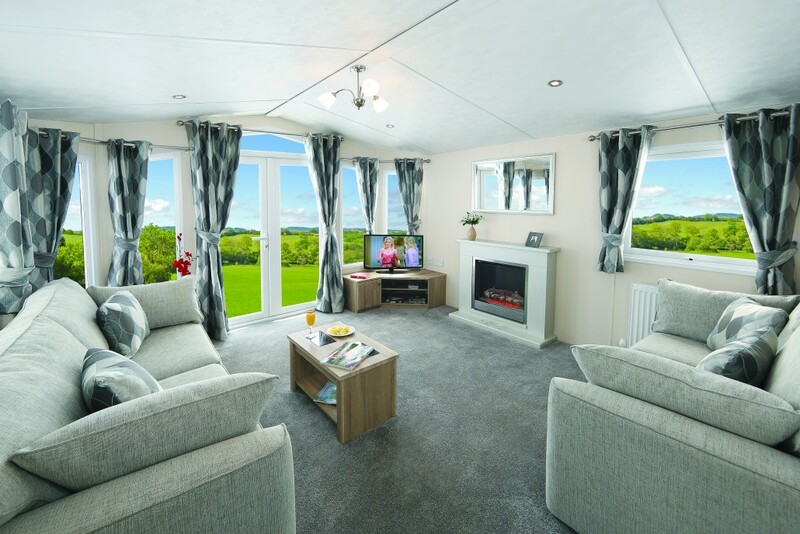 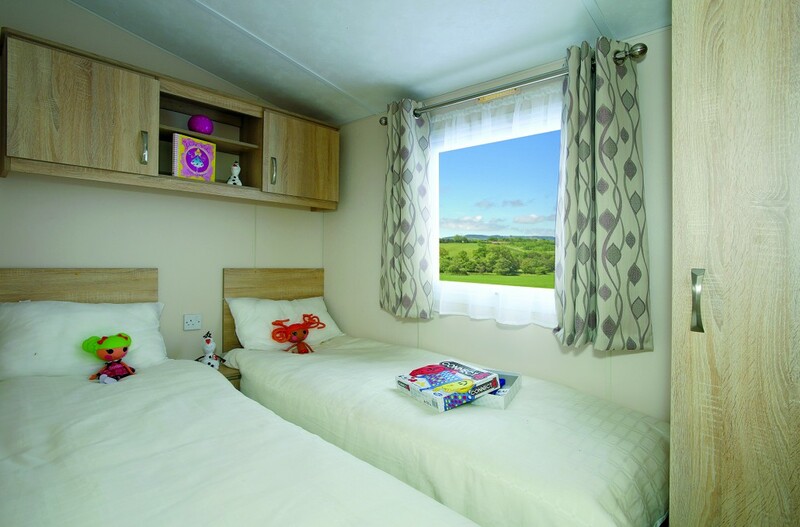 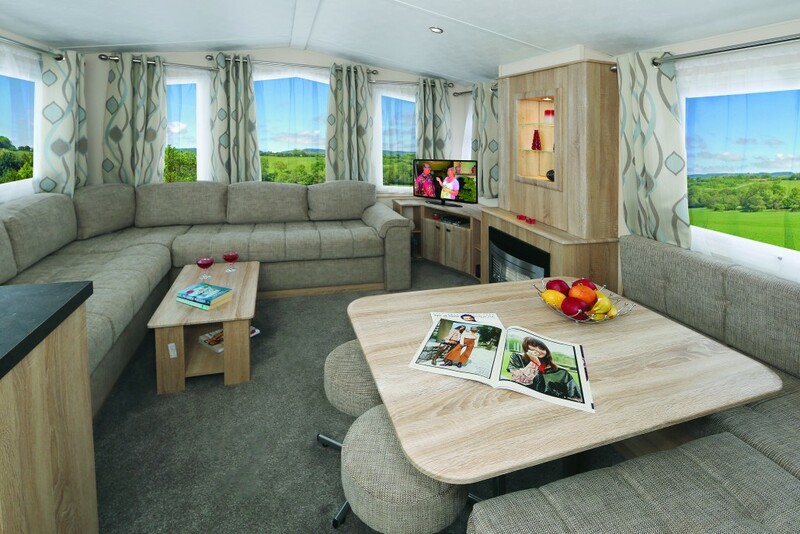 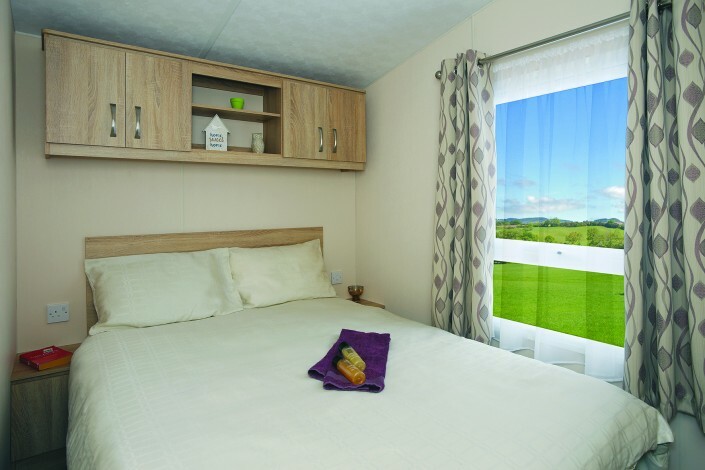 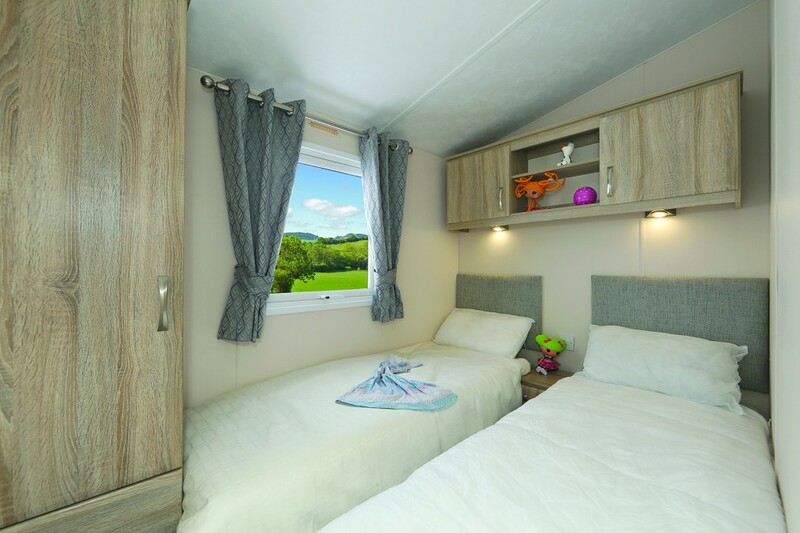 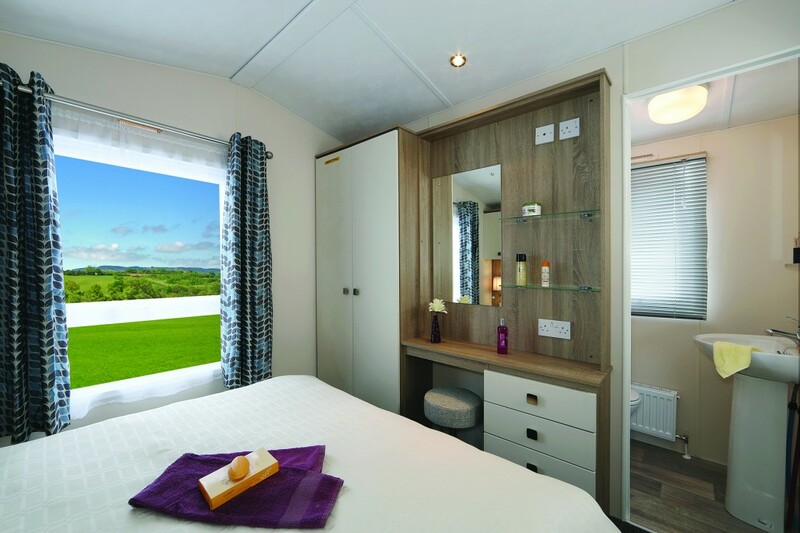 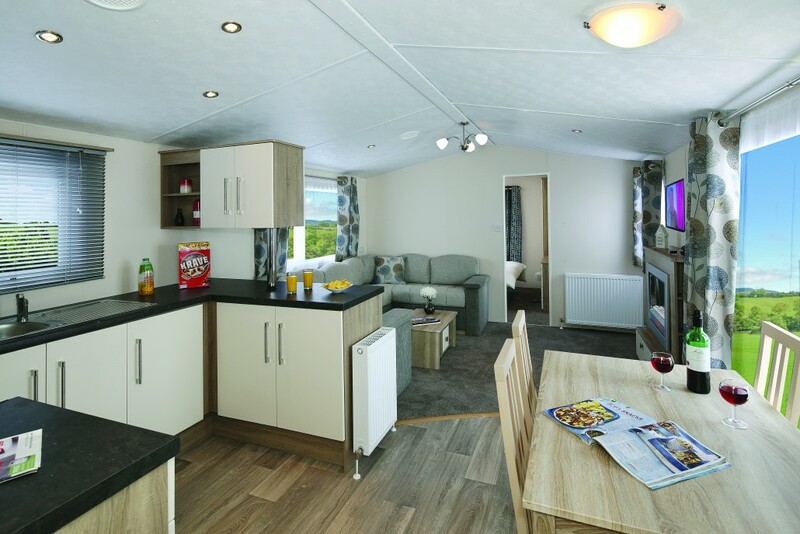 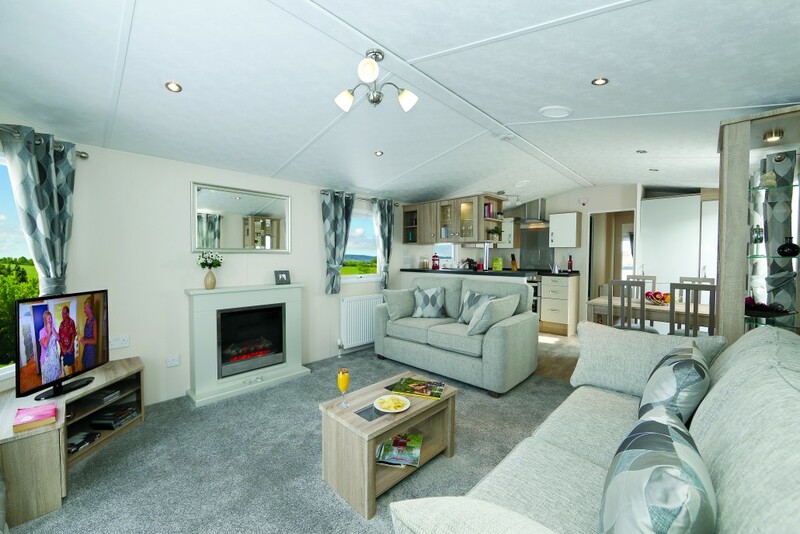 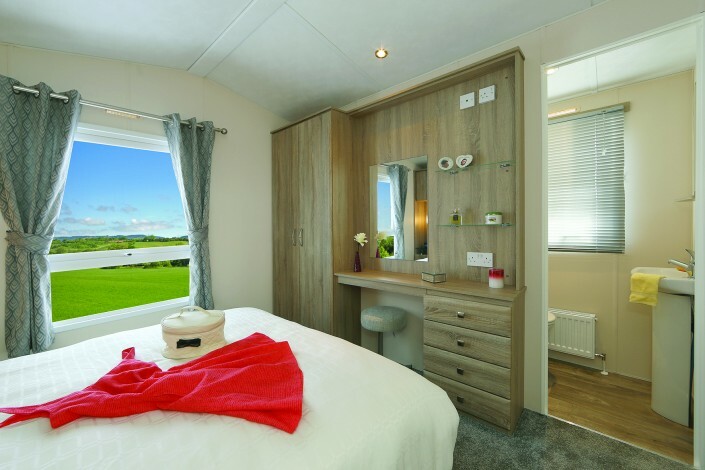 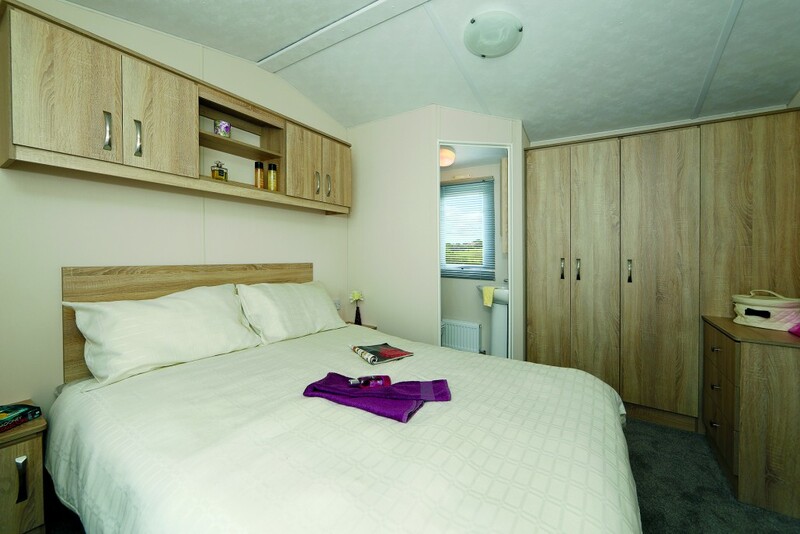 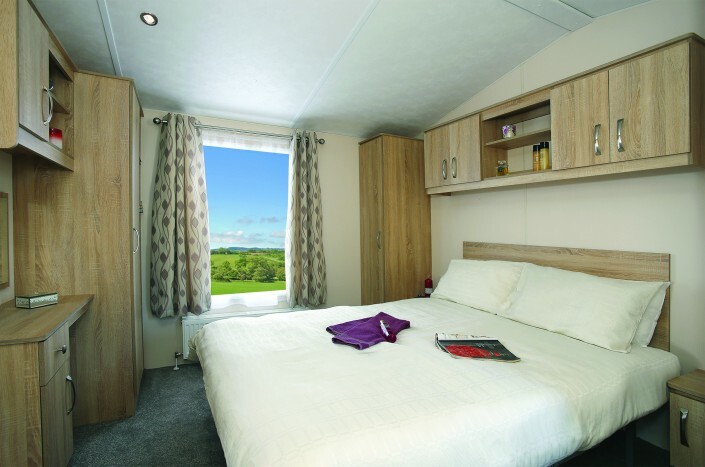 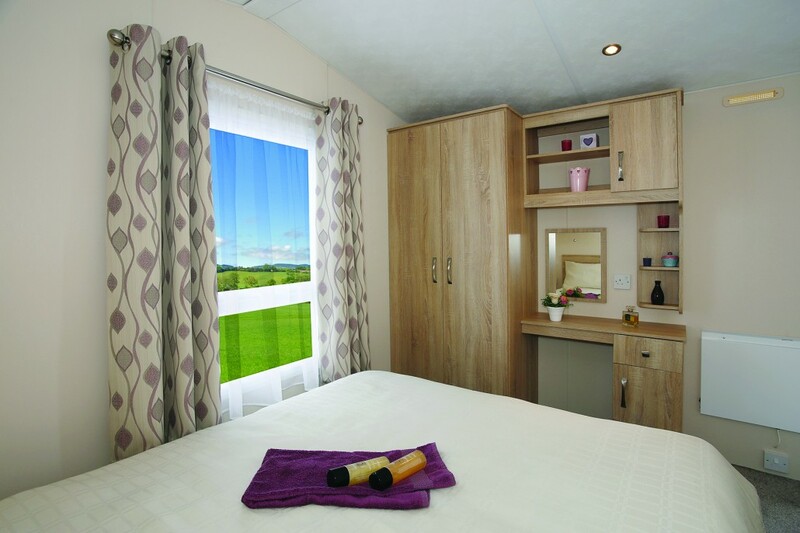 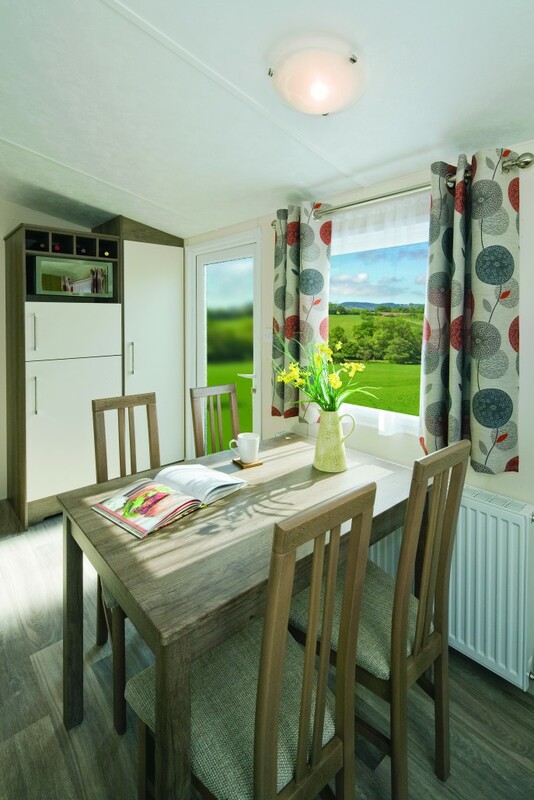 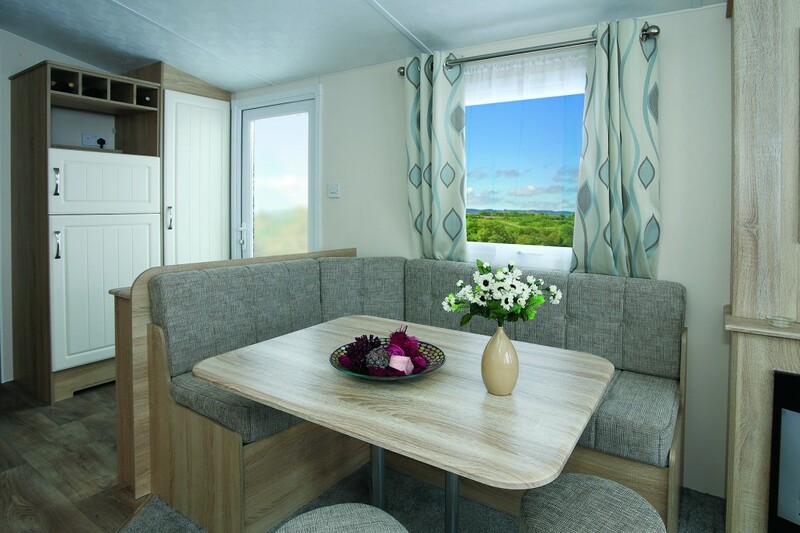 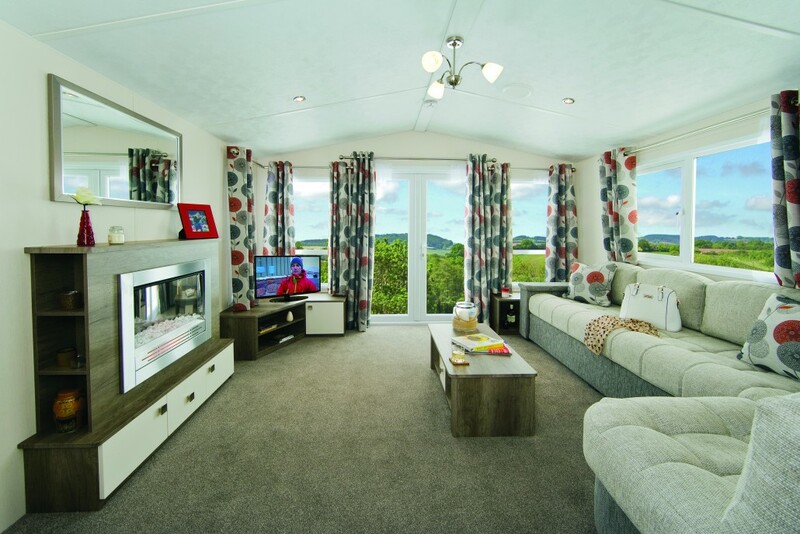 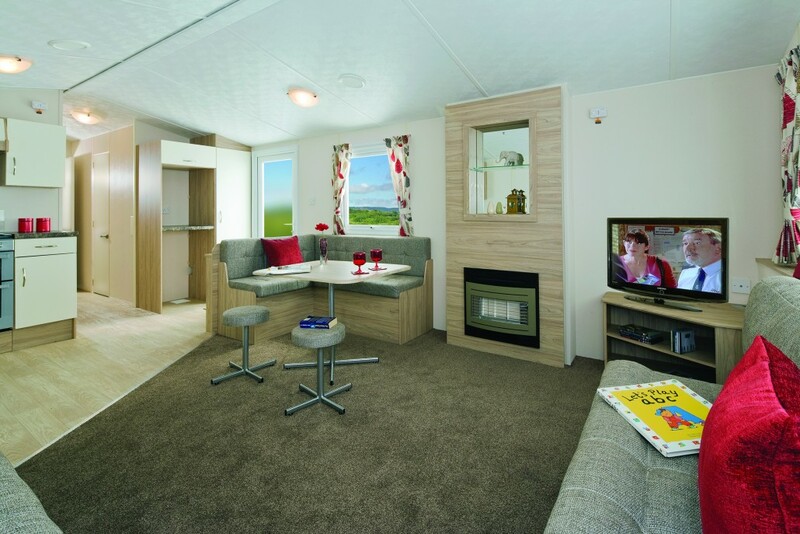 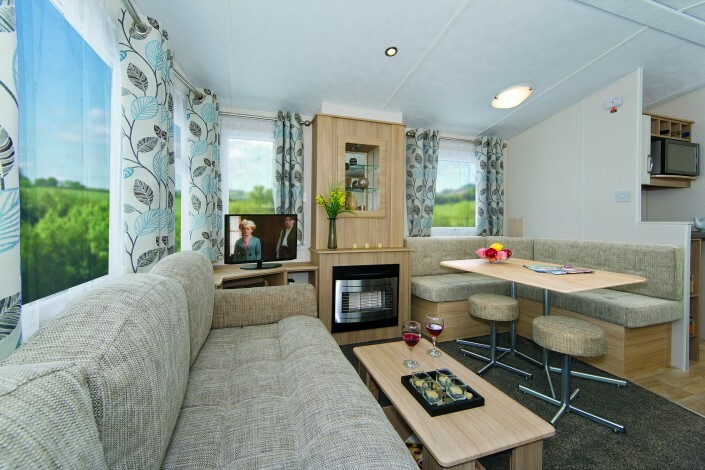 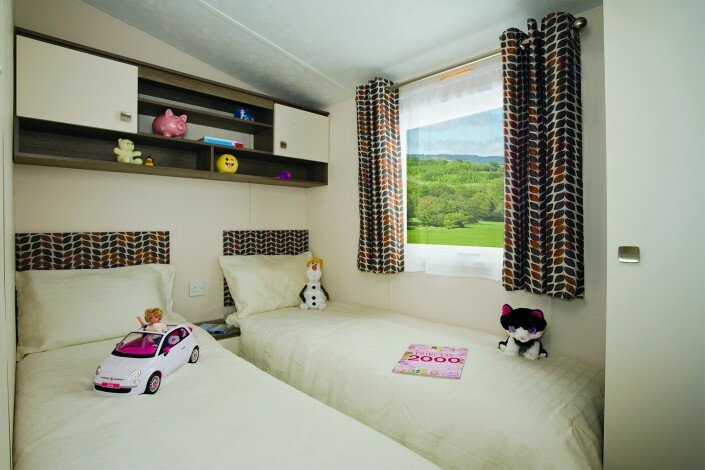 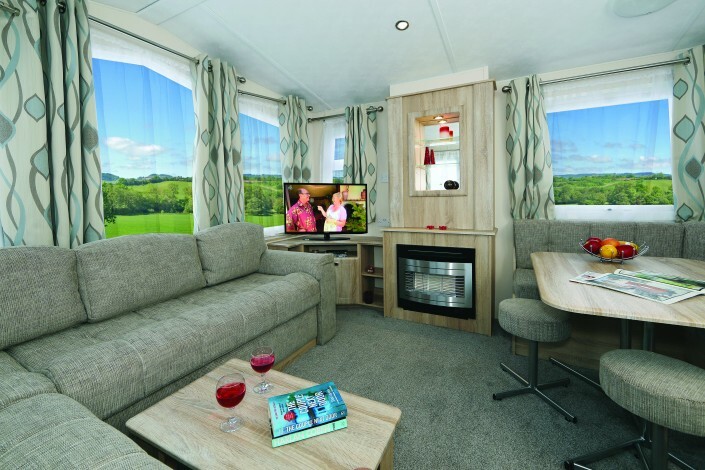 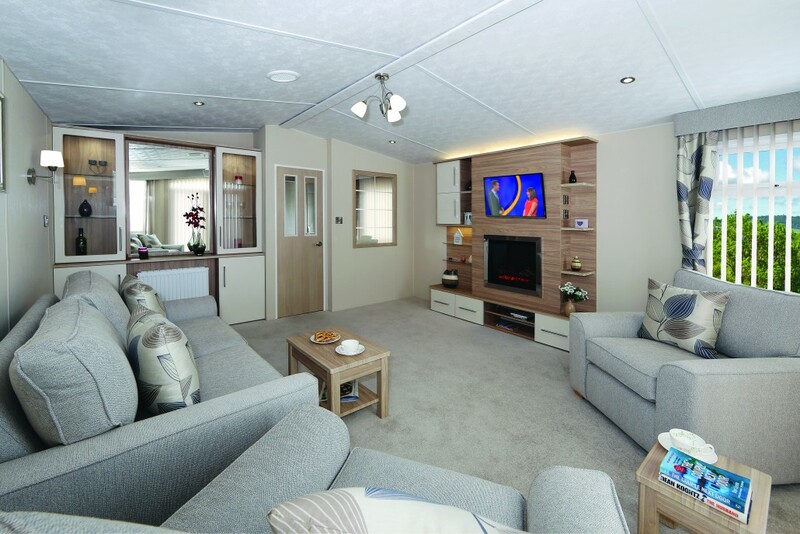 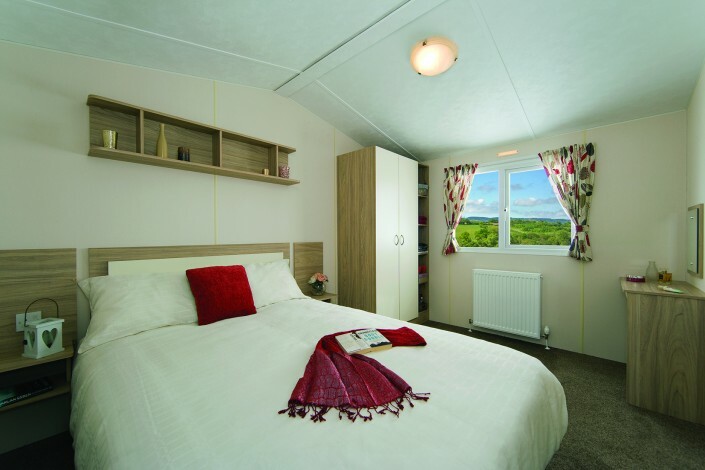 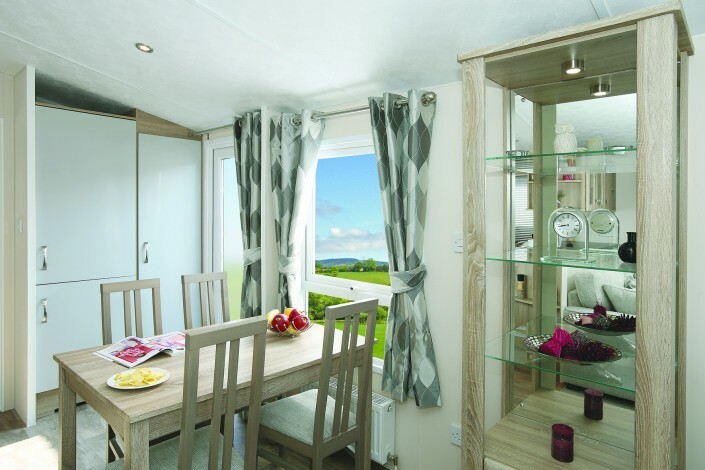 There’s a large, open-plan lounge where everyone can be together, with large front windows that flood the caravan with light. 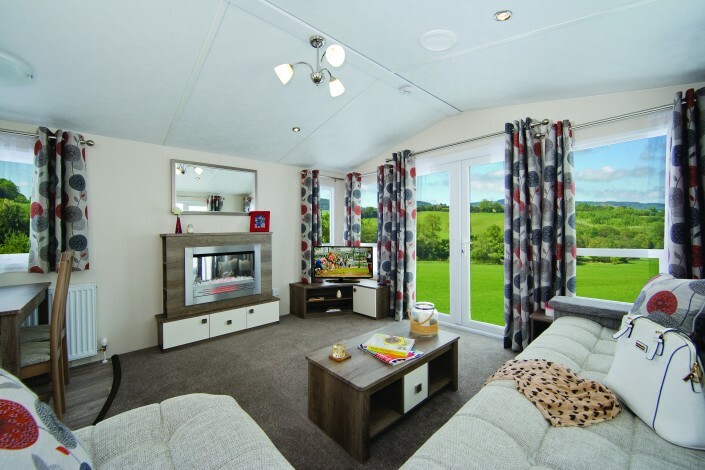 Contemporary furniture, domestic-style doors and vaulted plywood ceilings provide an upbeat atmosphere with plenty of space for children to play. 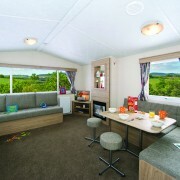 After hours, grown-ups can pop a cork here and chill in front of the TV. 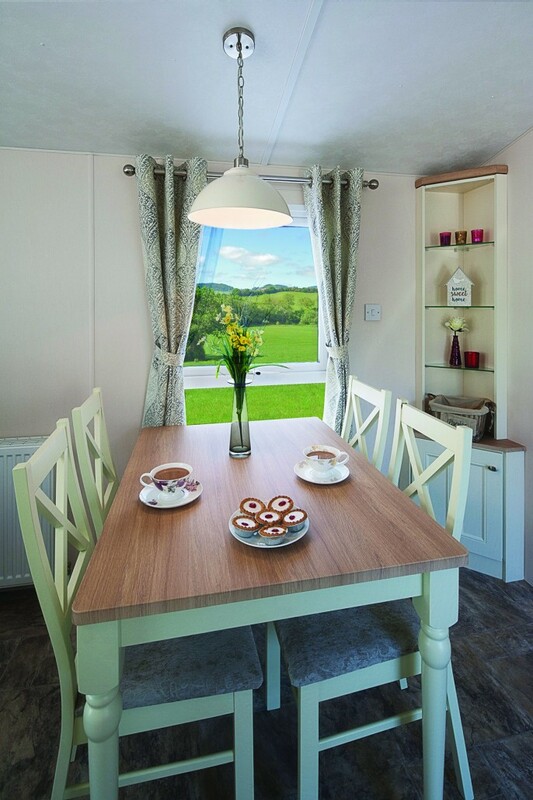 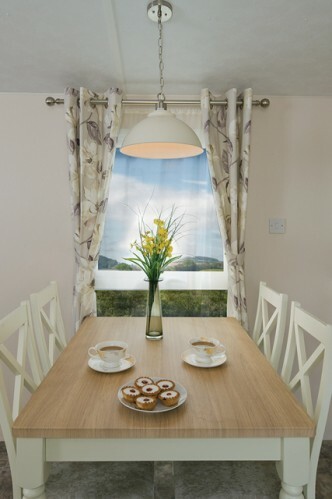 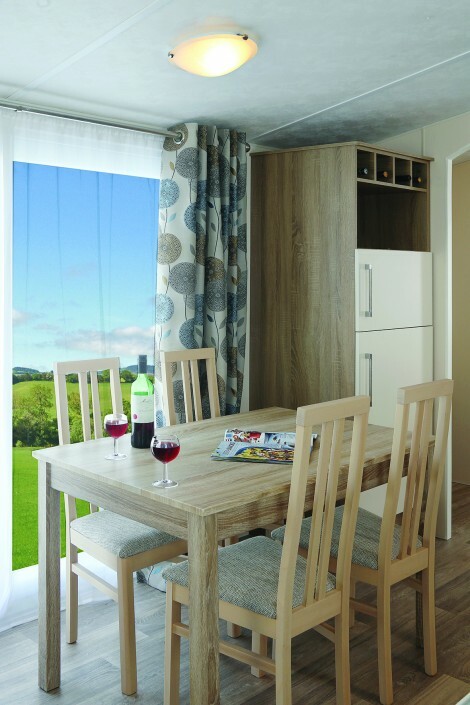 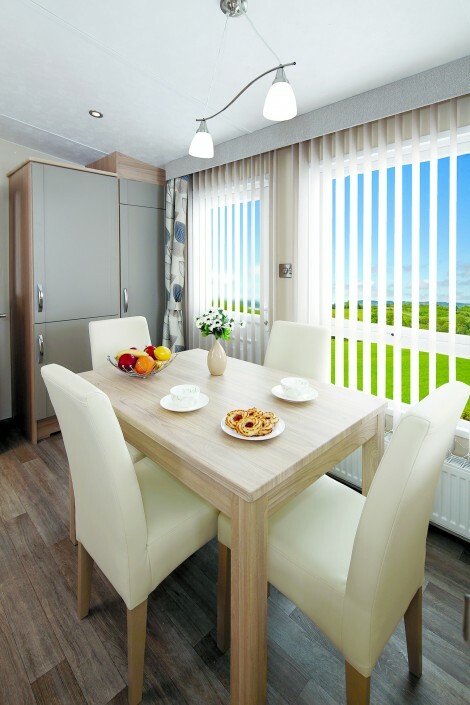 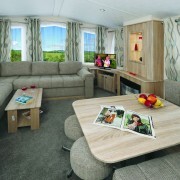 There’s a fixed dinette that can double as a cards or games table – the perfect way to unwind in the evening. 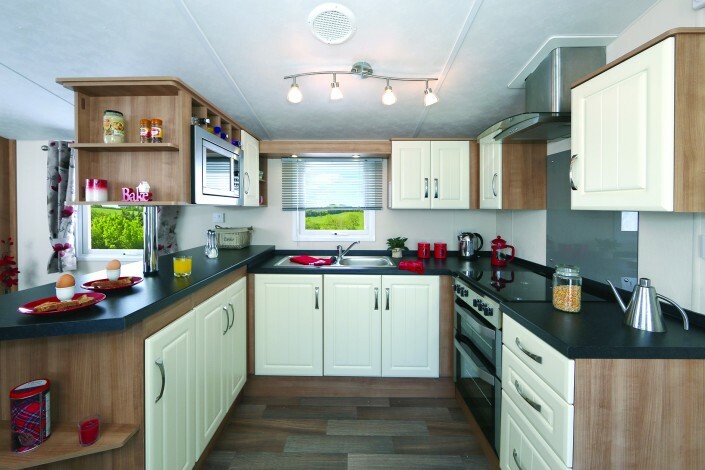 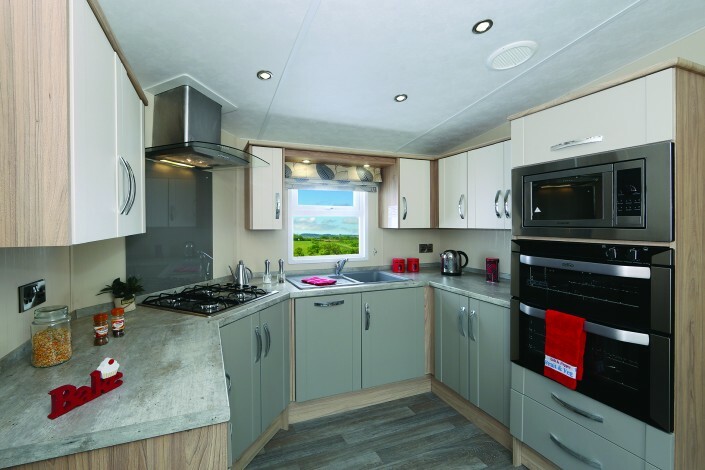 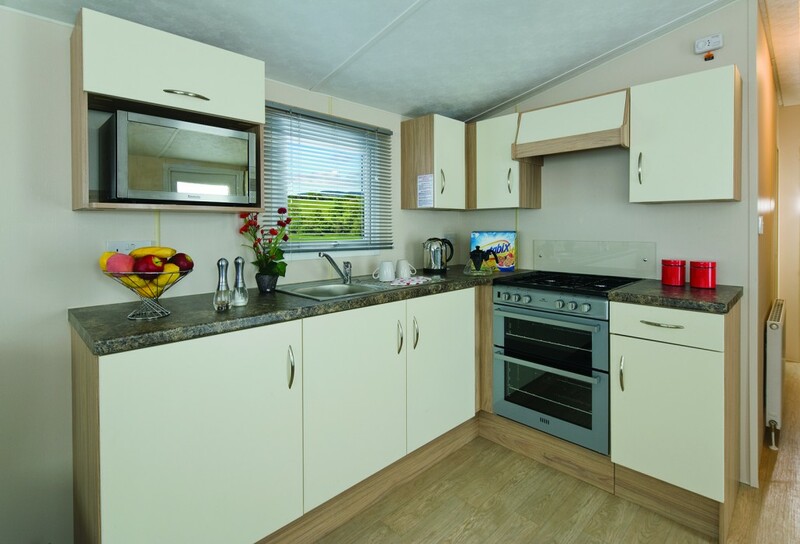 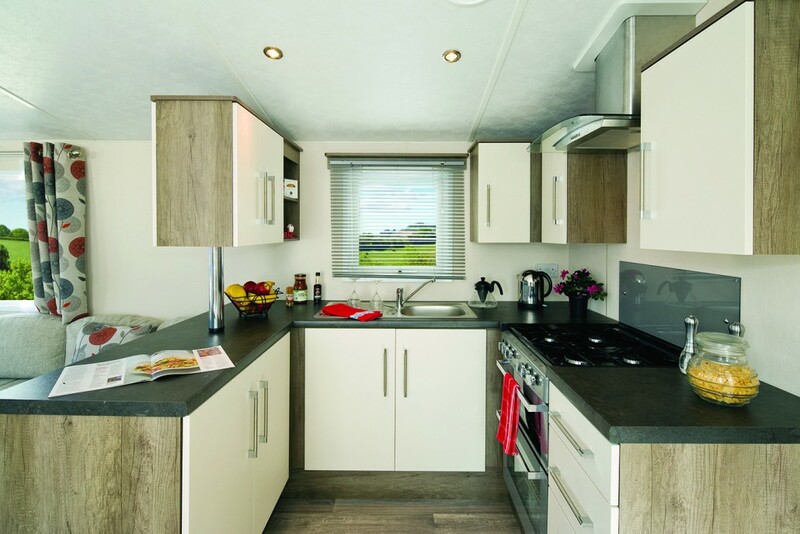 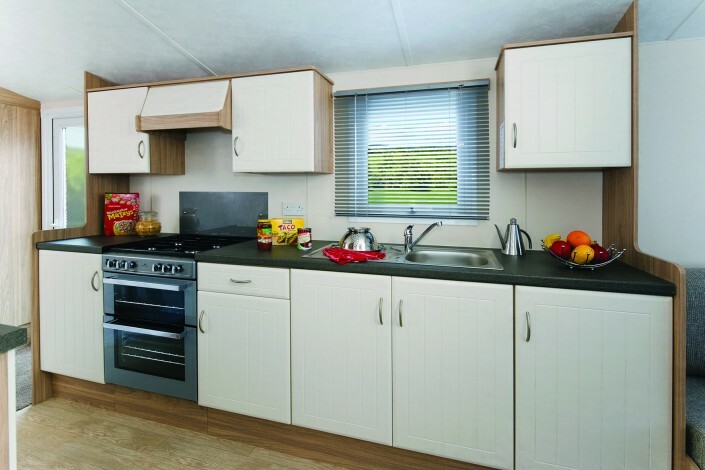 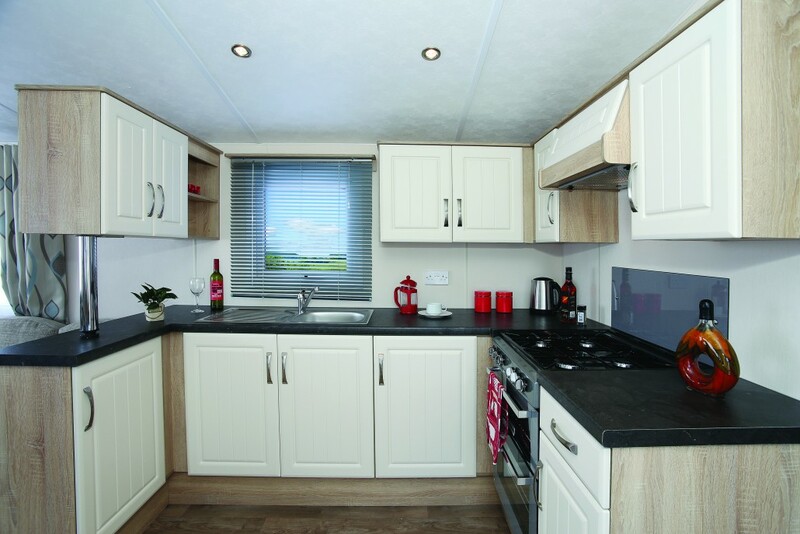 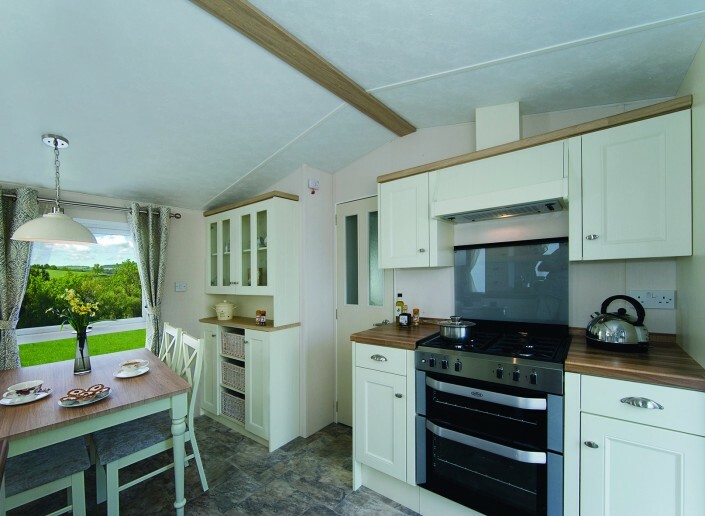 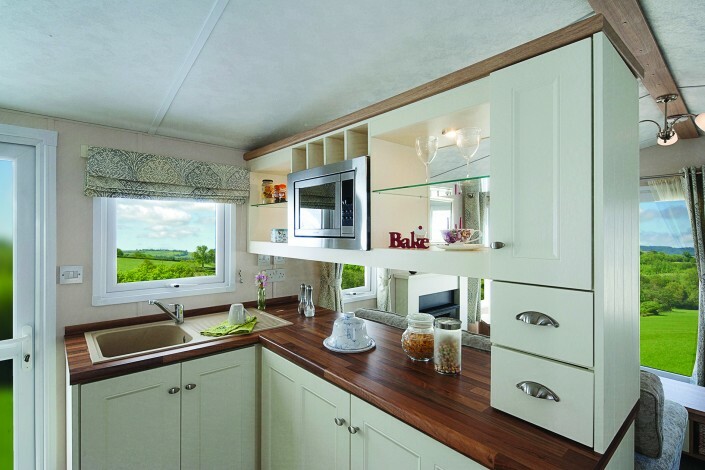 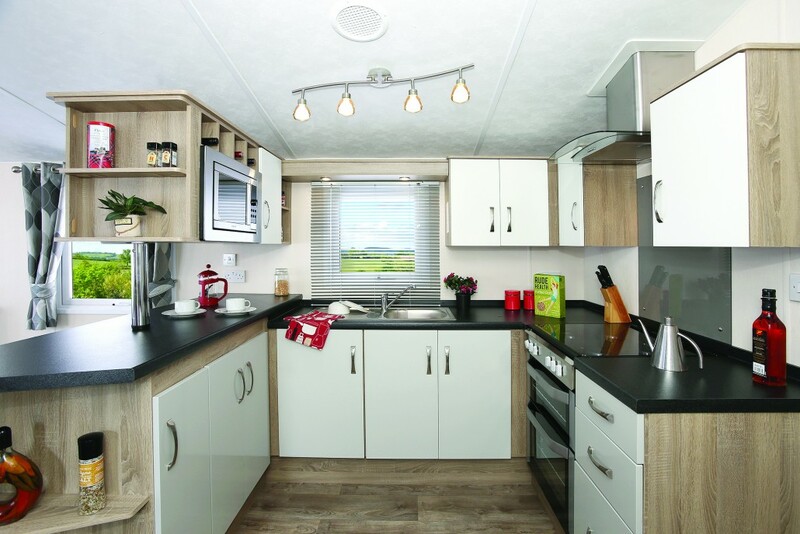 The well-equipped kitchen offers plenty of space and every home comfort, like excellent storage and good worktop space for chopping and chatting. The stylish, two-colour kitchen comes complete with an integrated cooker and space for a microwave and fridge-freezer. 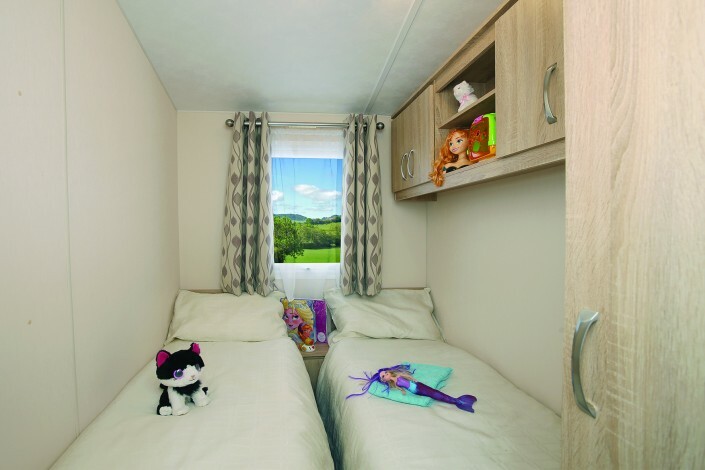 After fun-packed family days out, kids will fight over the well-proportioned bedrooms – although we’re sure the grown-ups will want the en-suite. 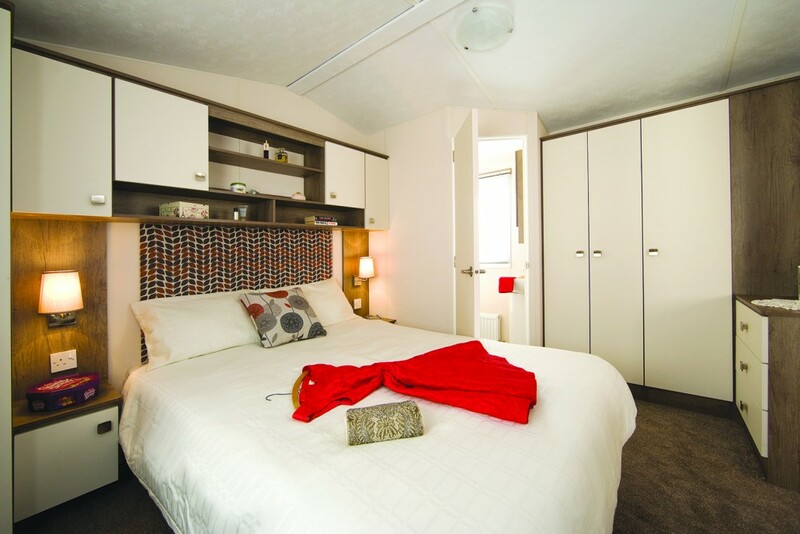 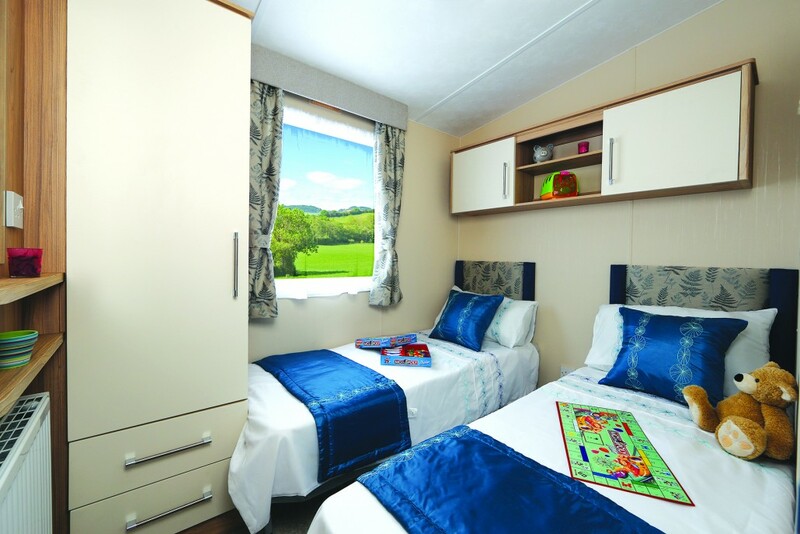 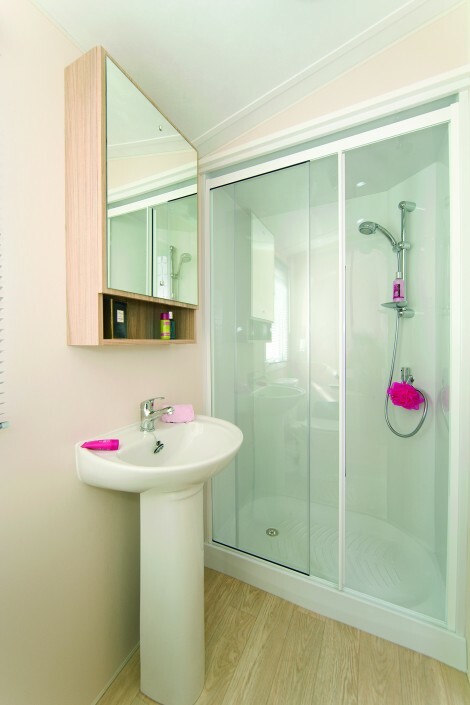 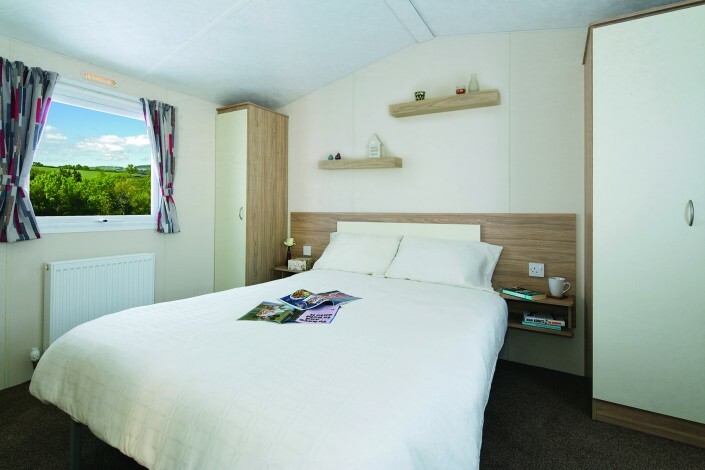 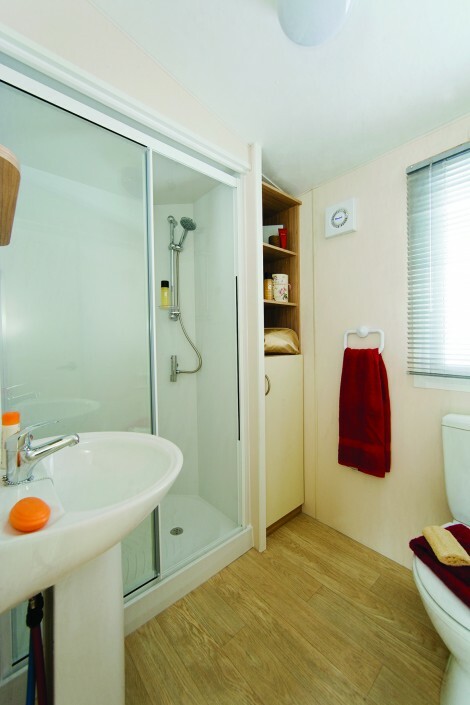 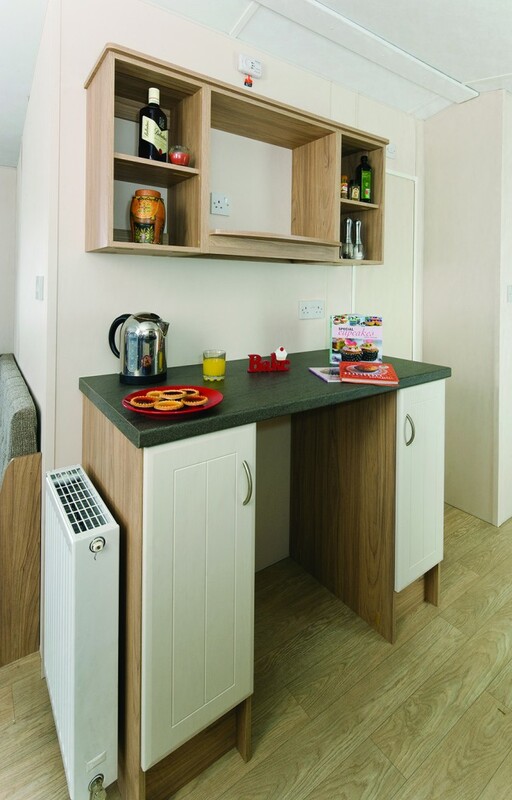 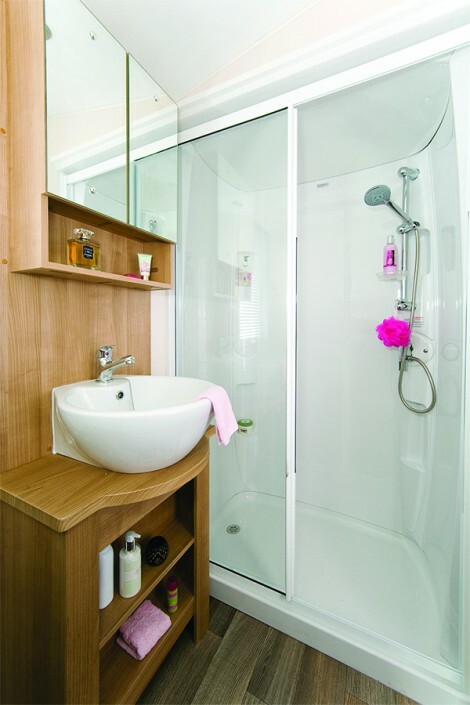 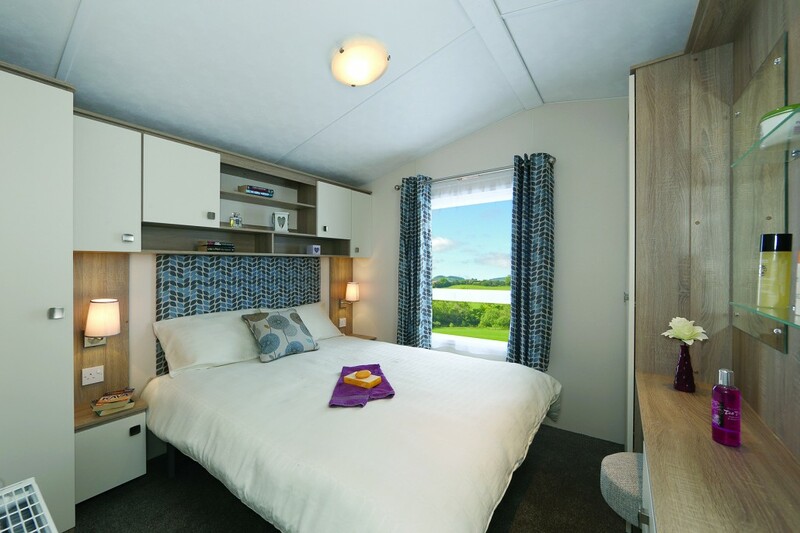 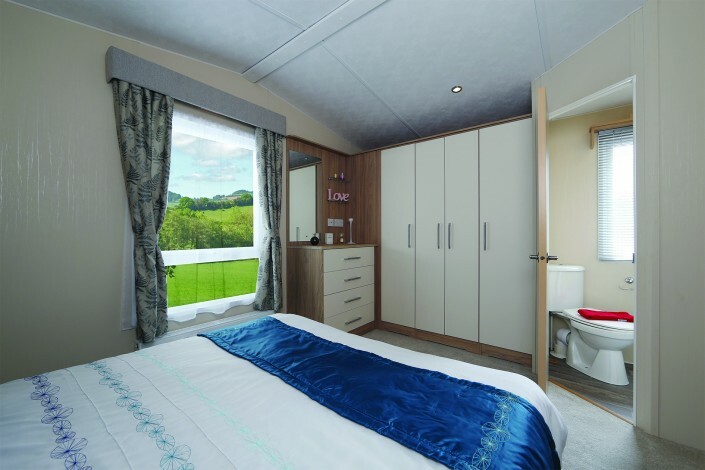 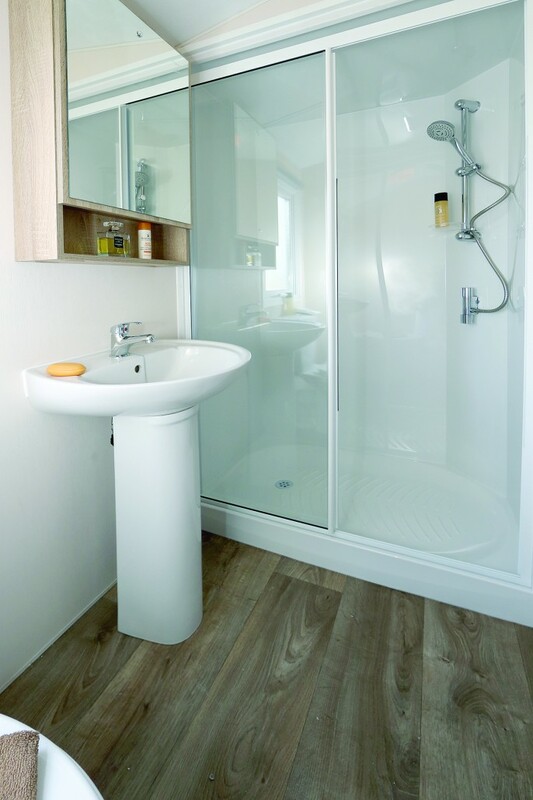 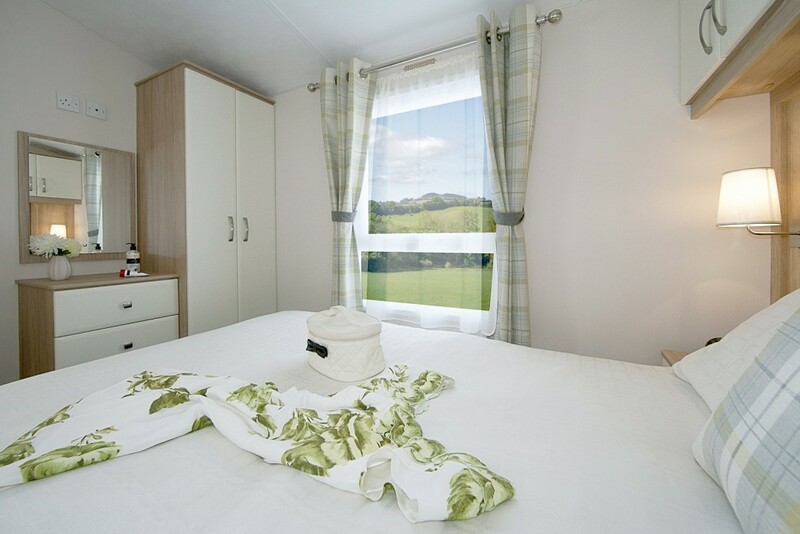 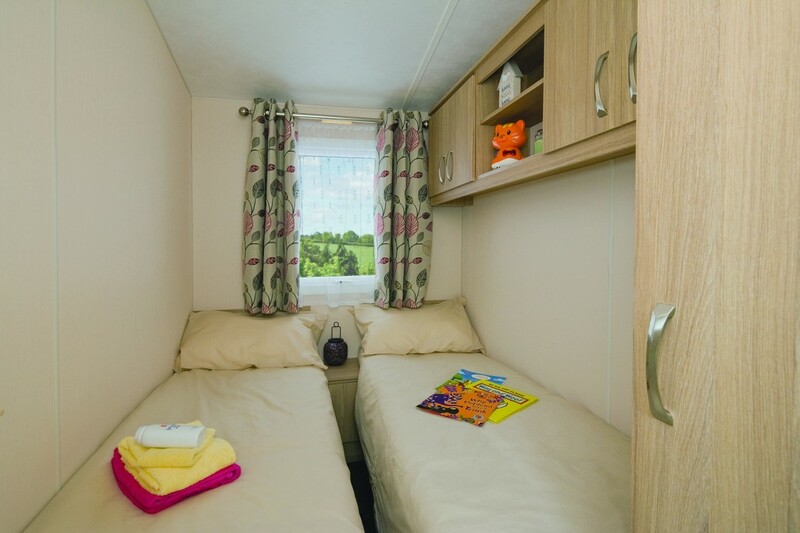 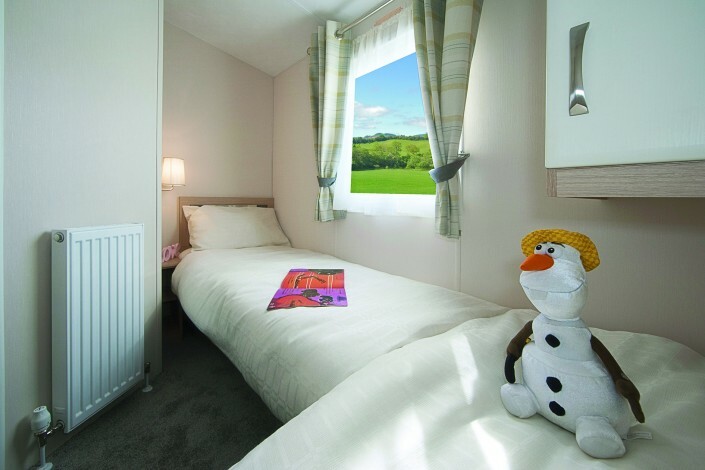 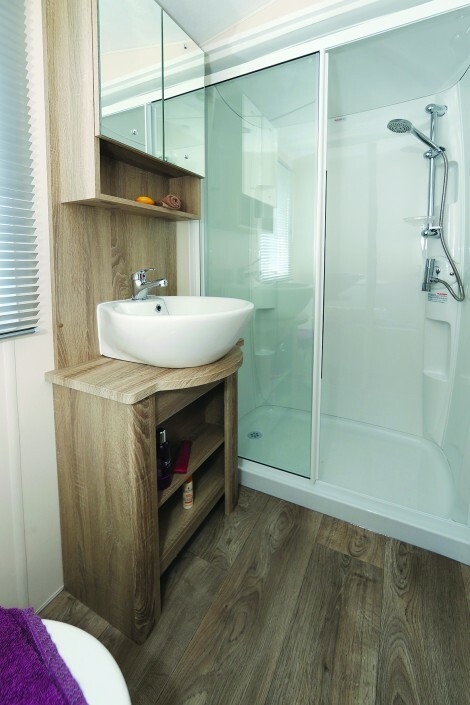 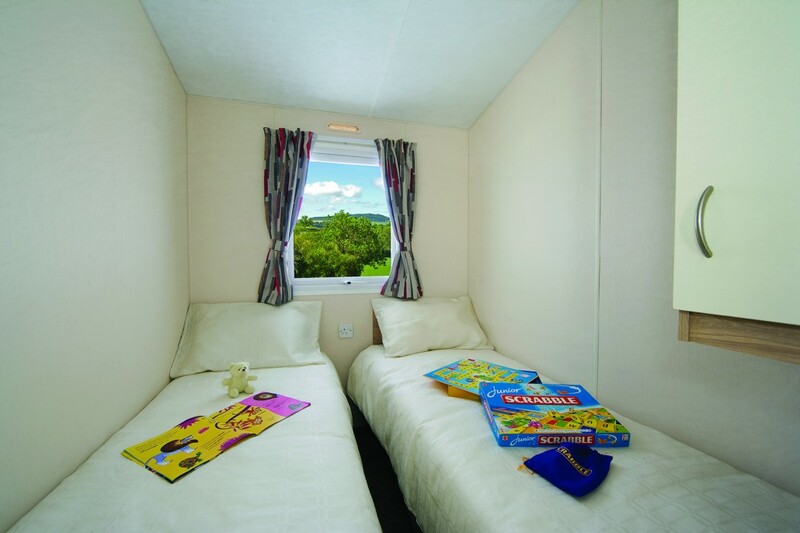 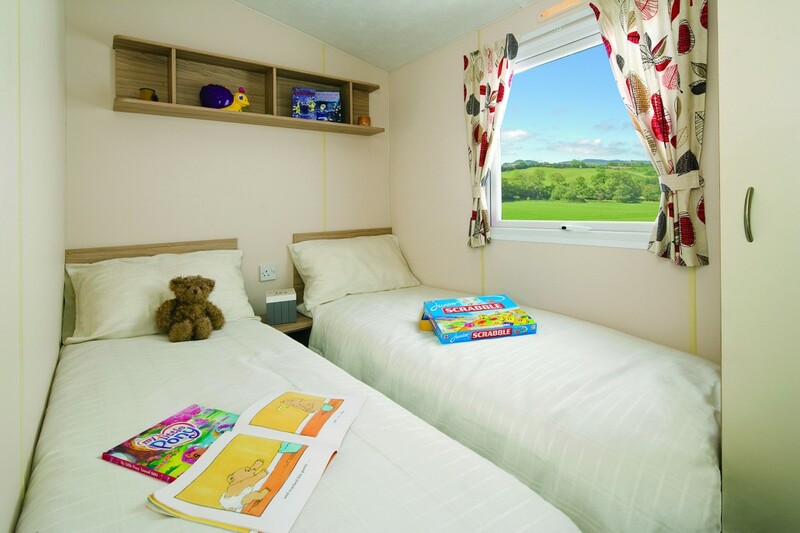 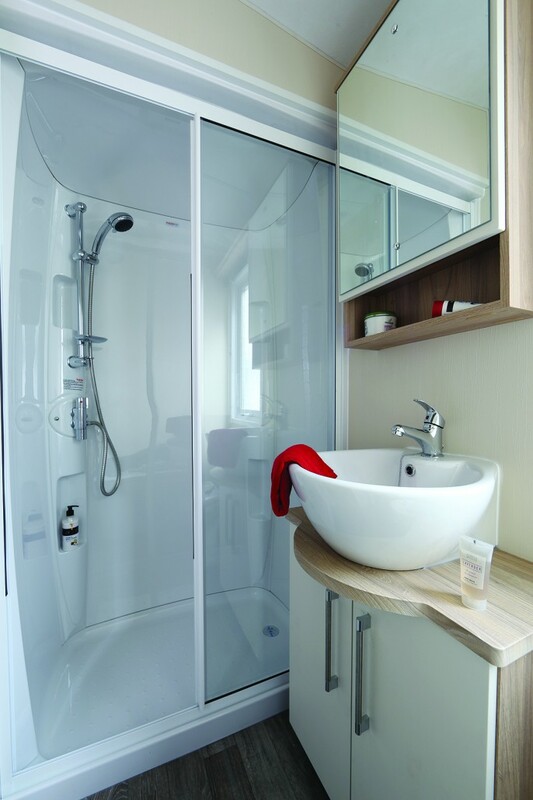 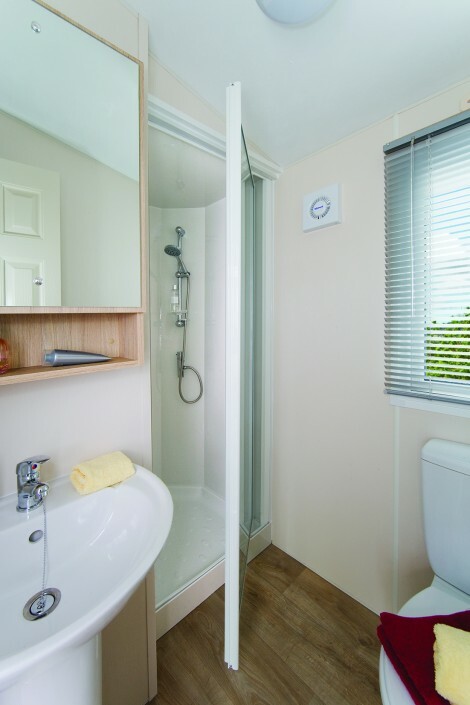 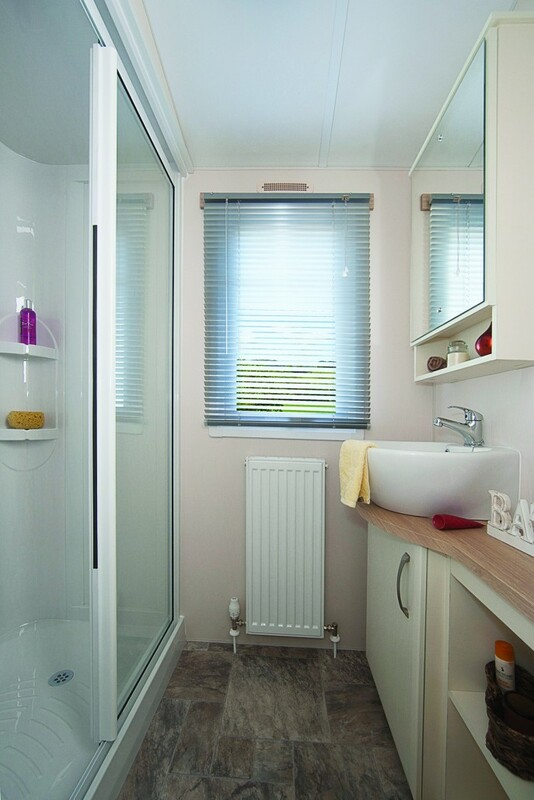 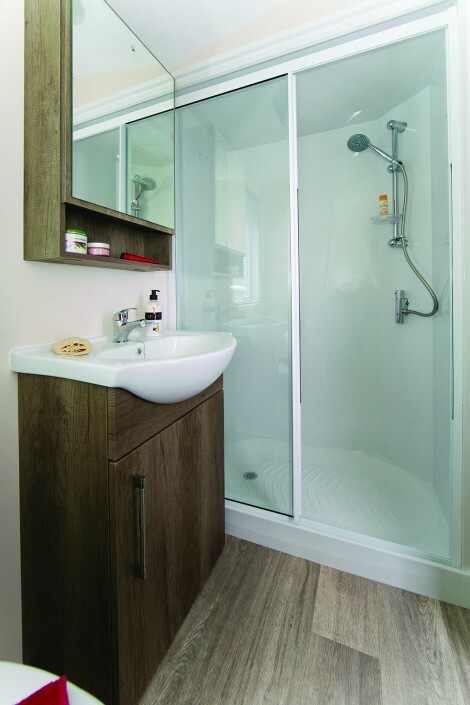 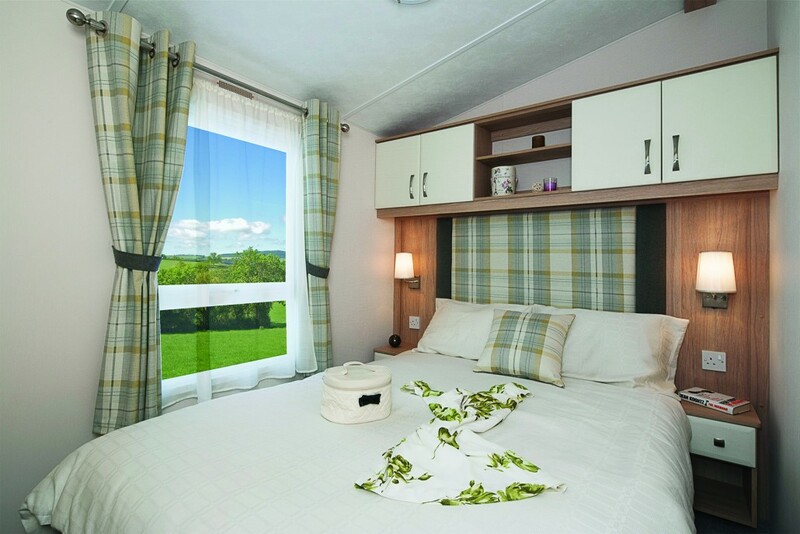 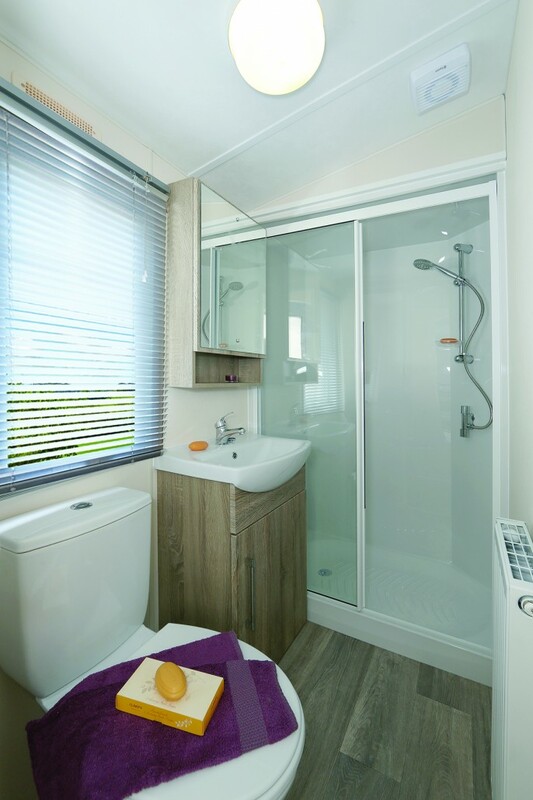 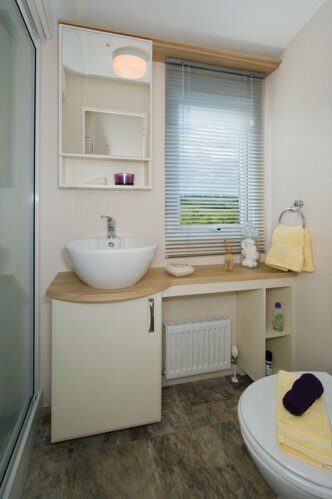 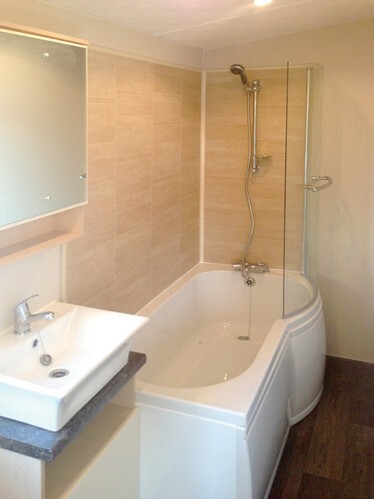 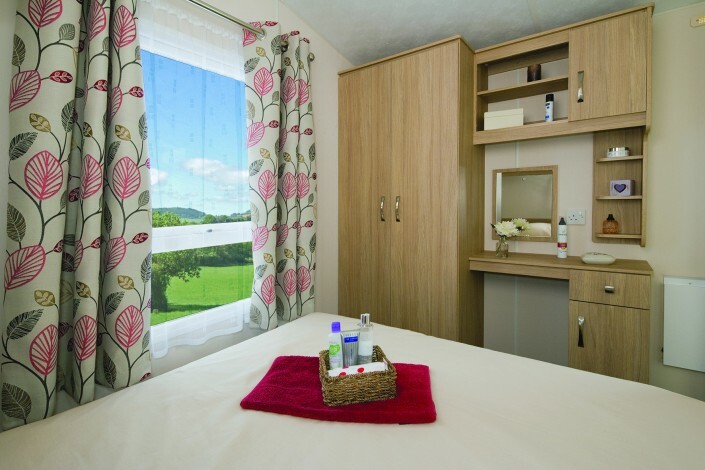 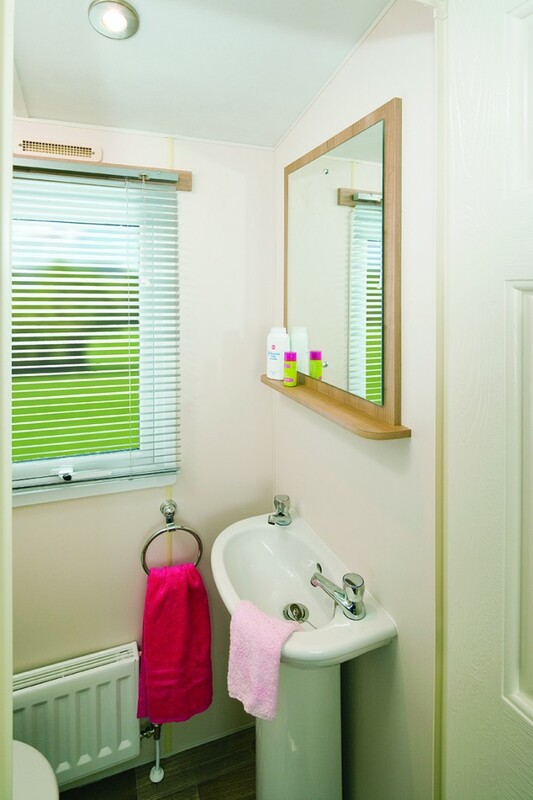 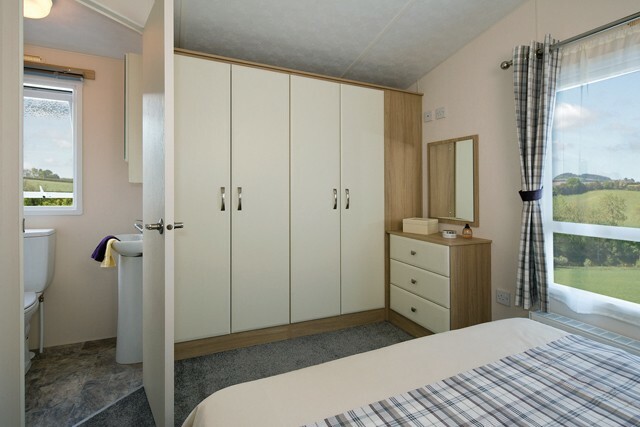 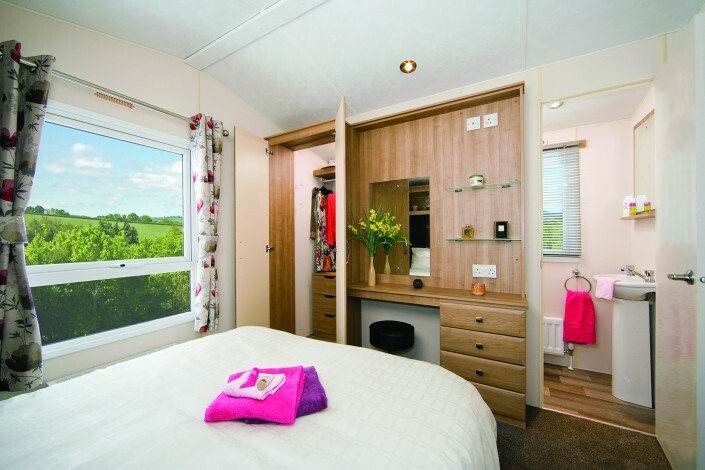 All bedrooms come with tons of storage, for everything from t-shirts and trousers to buckets and spades. 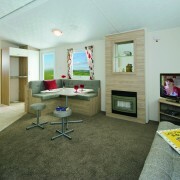 The Linden is where happy family holidays begin.